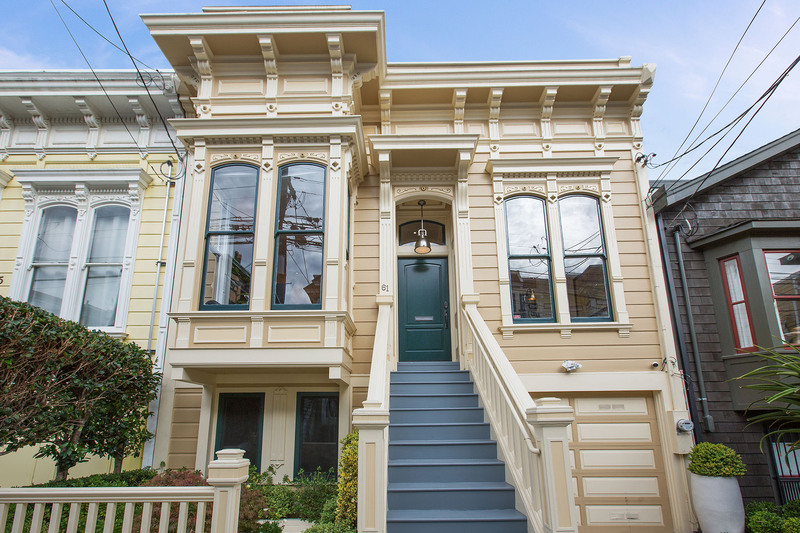 This beautifully restored 1890’s Victorian has been remodeled to meet the high standards of today’s discerning buyers. 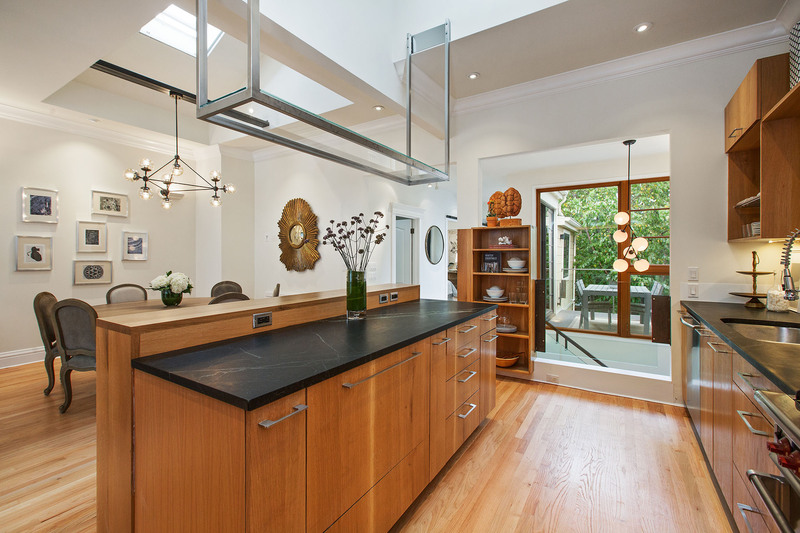 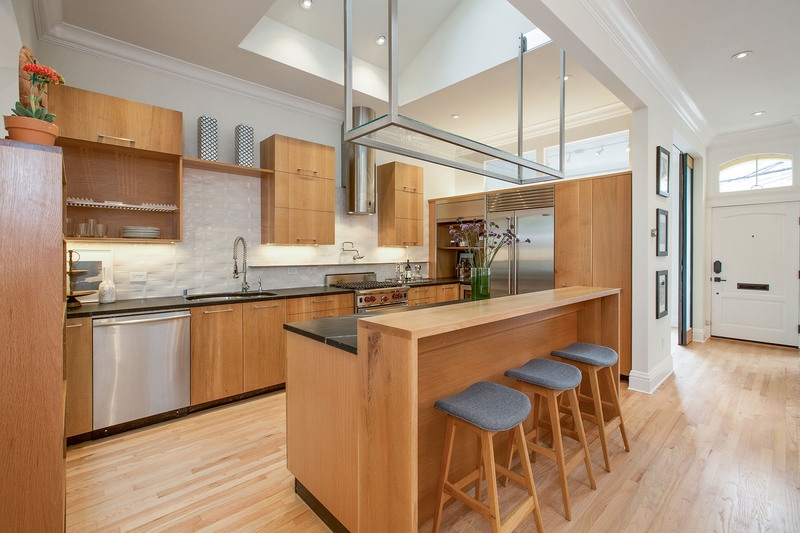 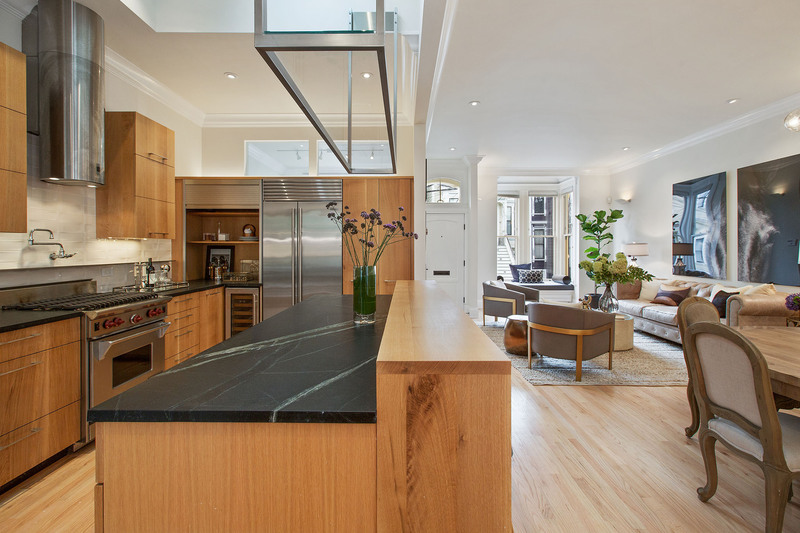 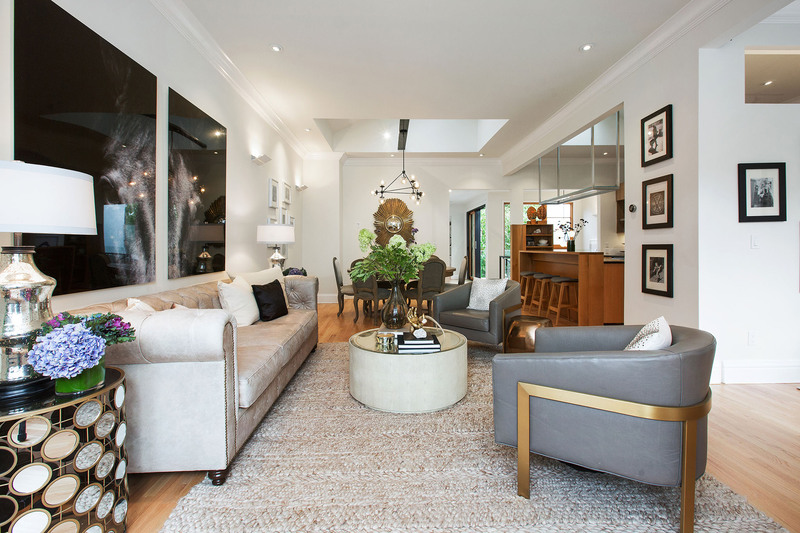 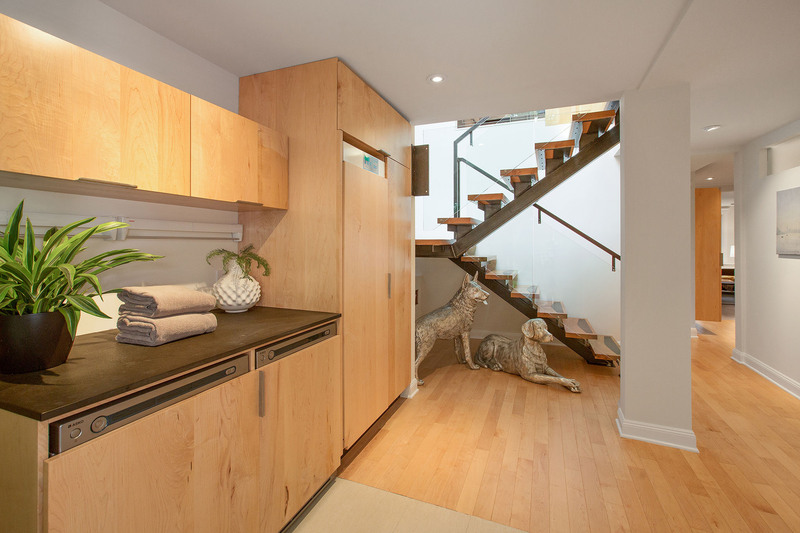 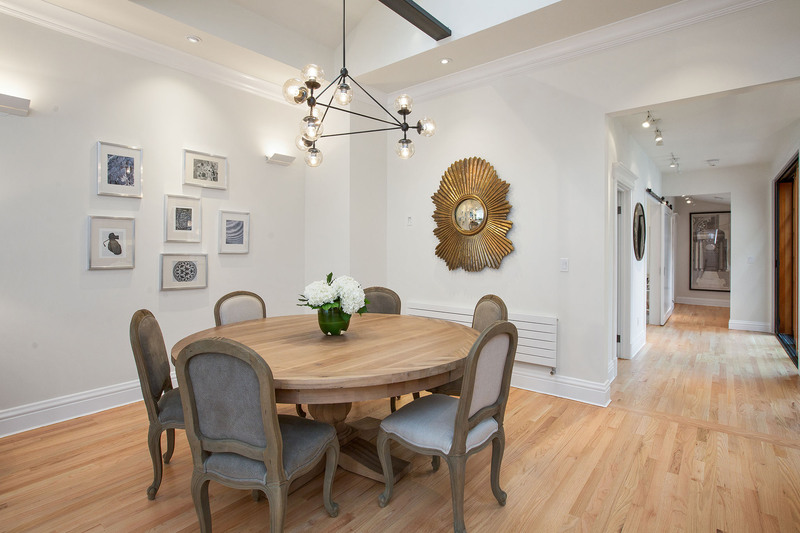 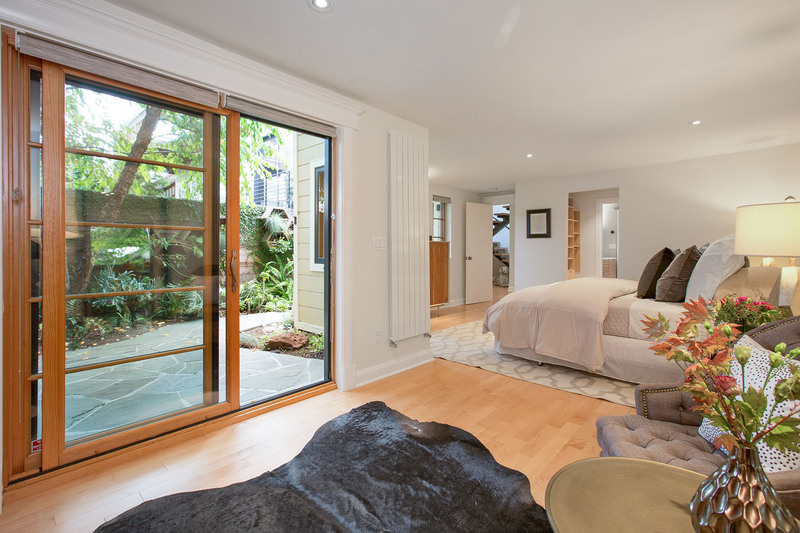 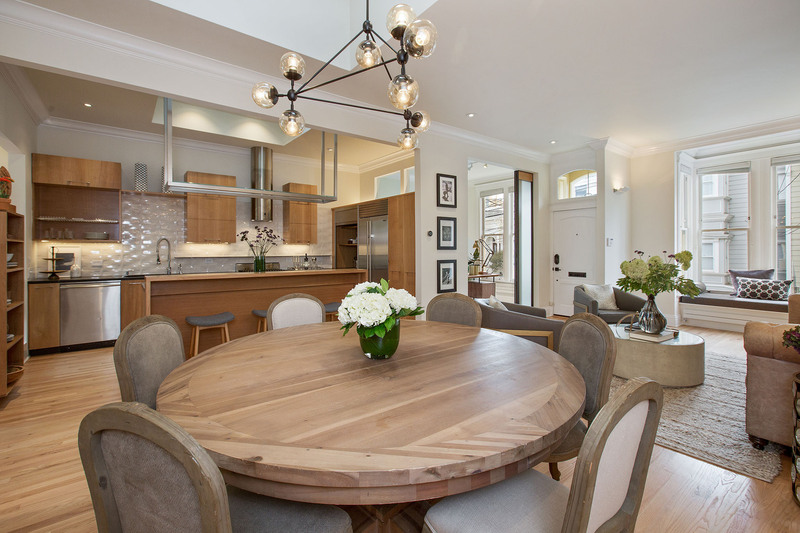 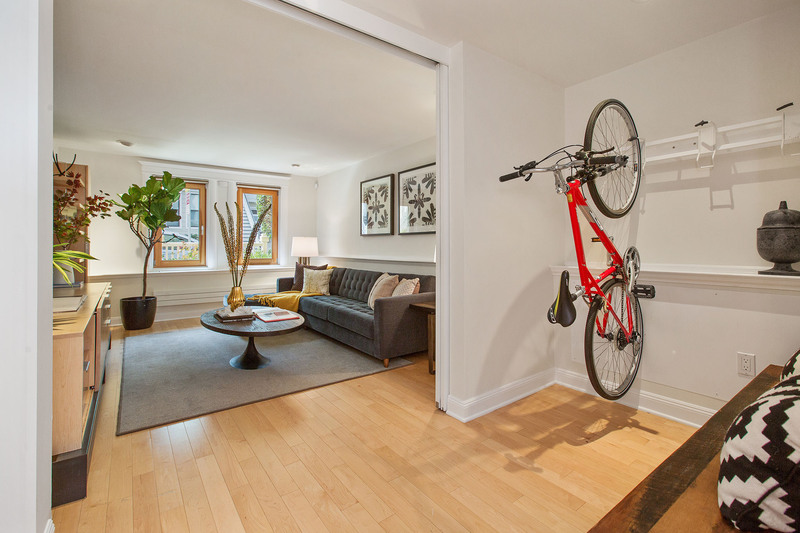 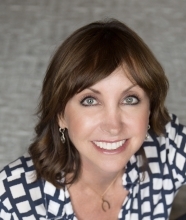 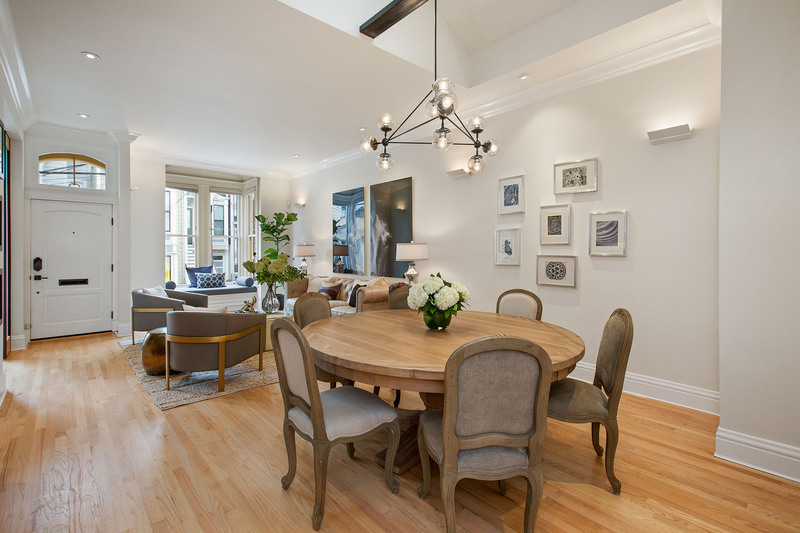 Tucked away on a very special one-way/one-block street, 61 Prosper is an entertainer’s dream. 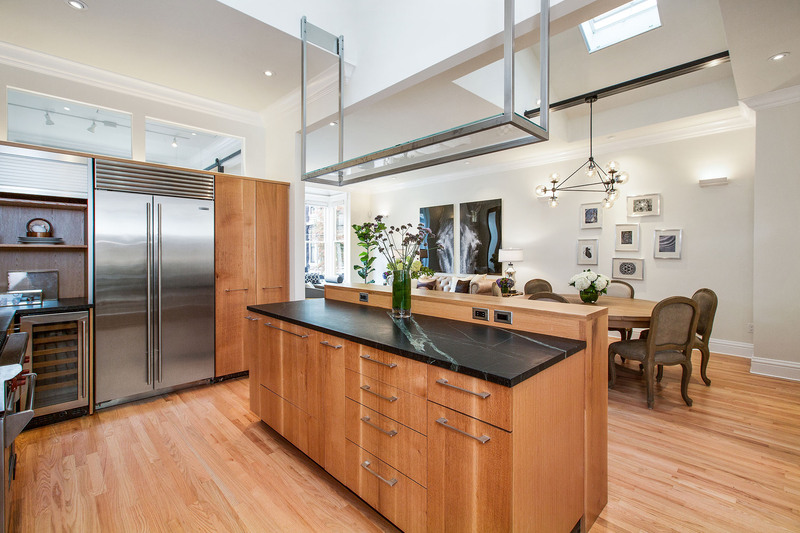 It has a high-end gourmet kitchen that opens to a spacious living/dining area with soaring ceilings and skylights that shower the upper level with natural light. 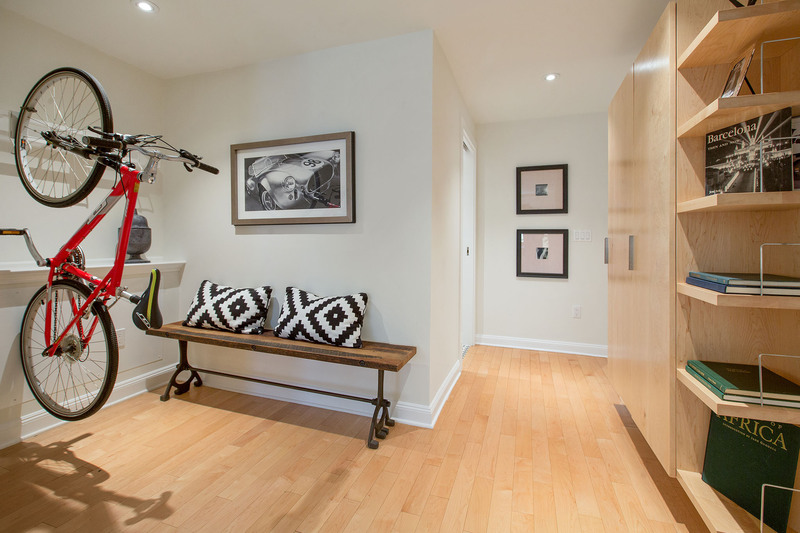 The main level also includes an office, 2 bedrooms and one full bath. 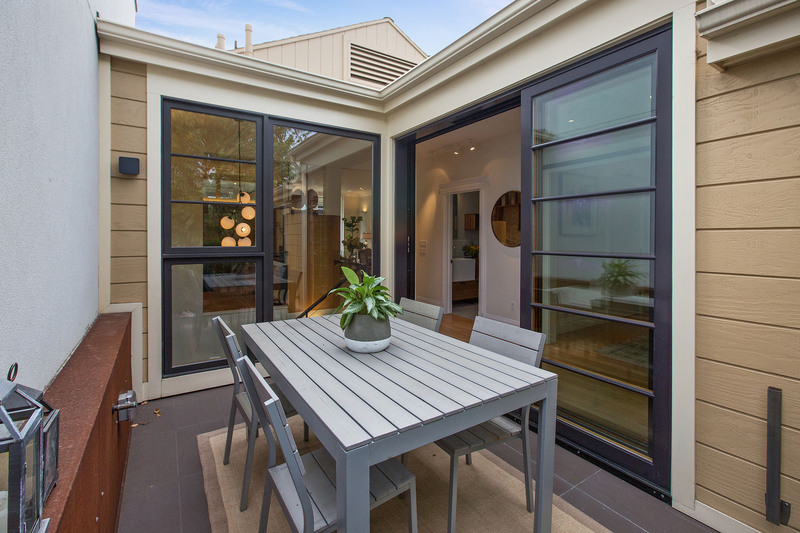 Glass doors provide direct access to a deck plumbed for a gas BBQ. 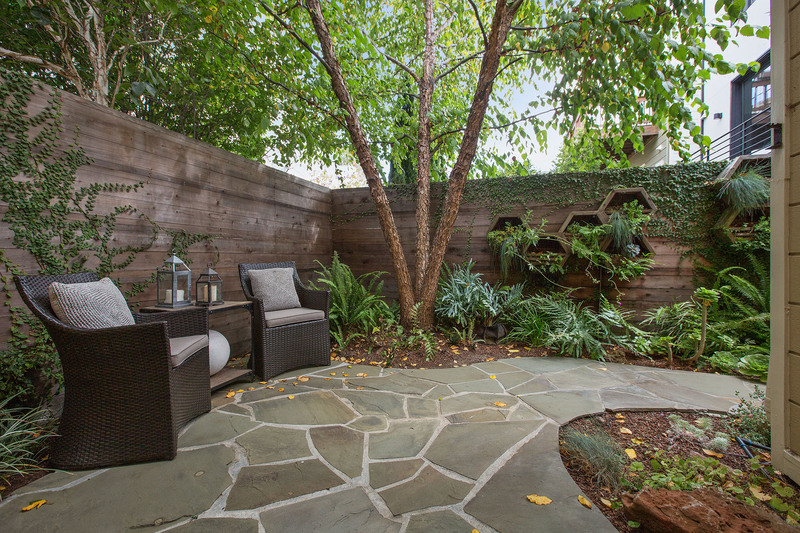 Experience a sense of calm as you descend to the lower level and gaze upon the “Zen-like” garden. 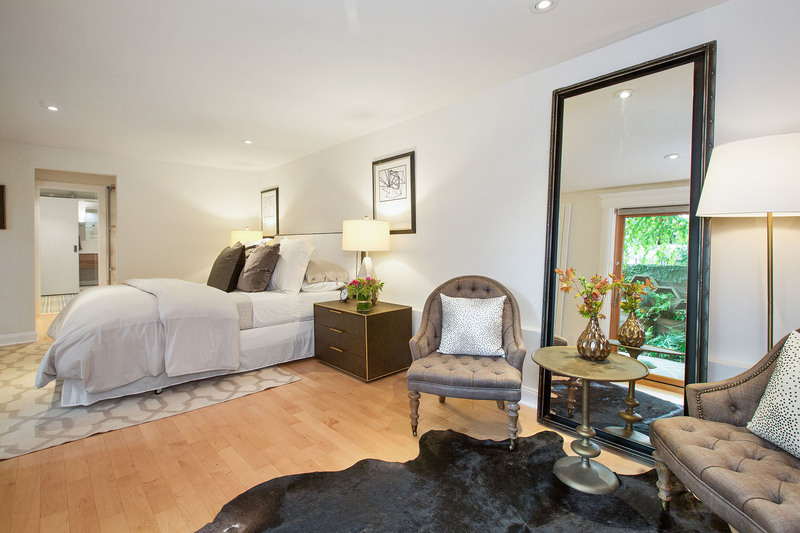 This level includes a spacious master suite with sitting area, walk-in closet, a luxurious bathroom and direct garden access. 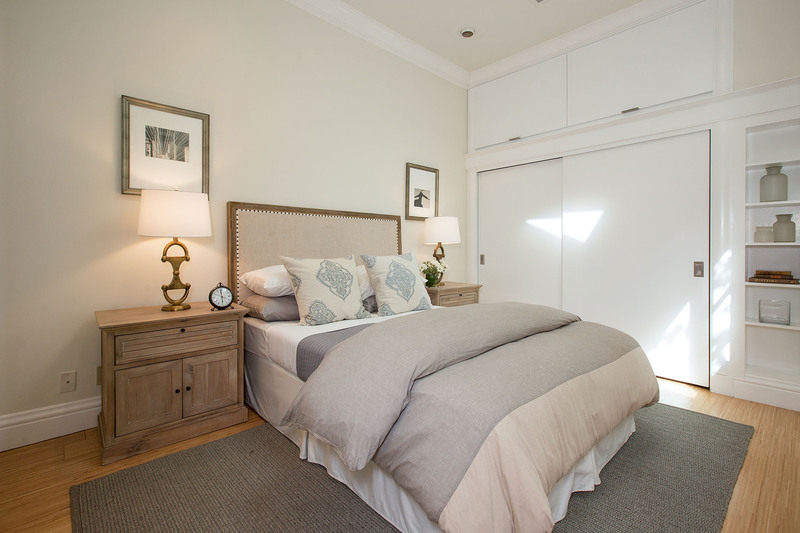 There is also a 4th bedroom utilized as the family room. 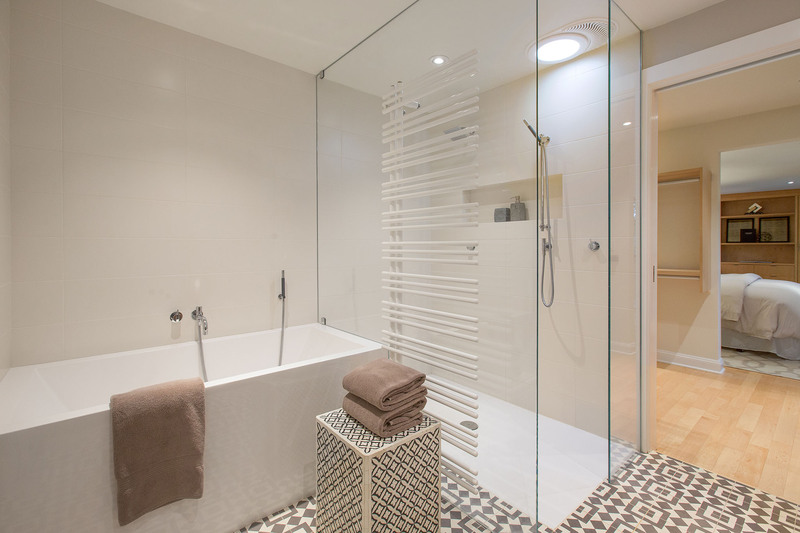 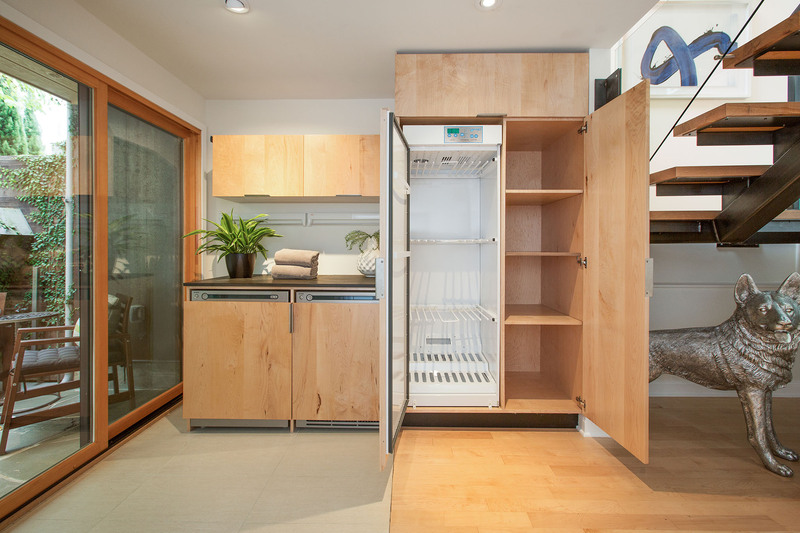 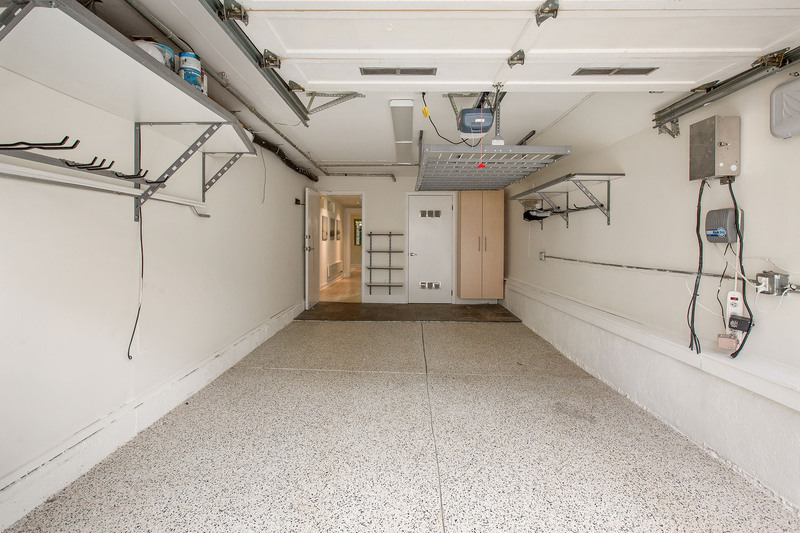 A stylish laundry area and large 1 car garage complete this home. 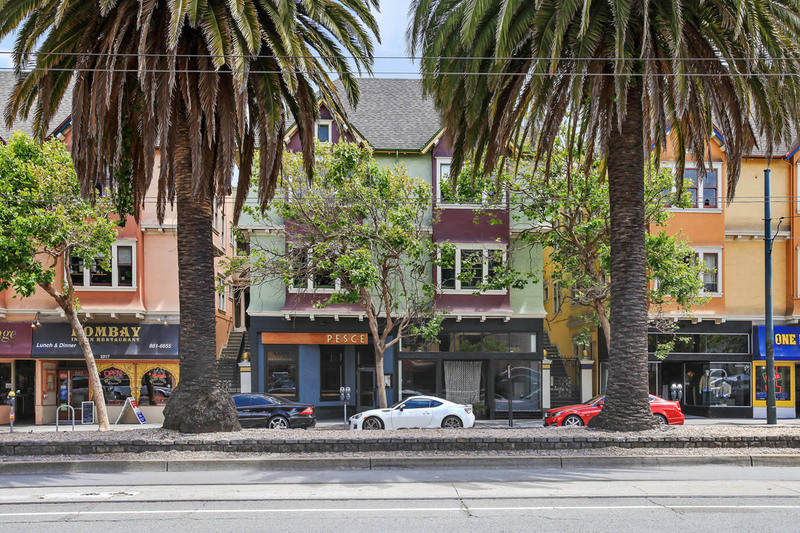 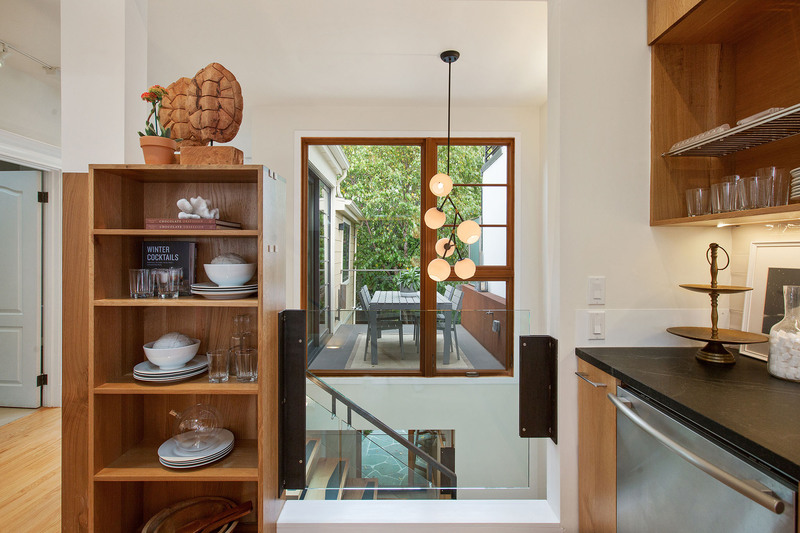 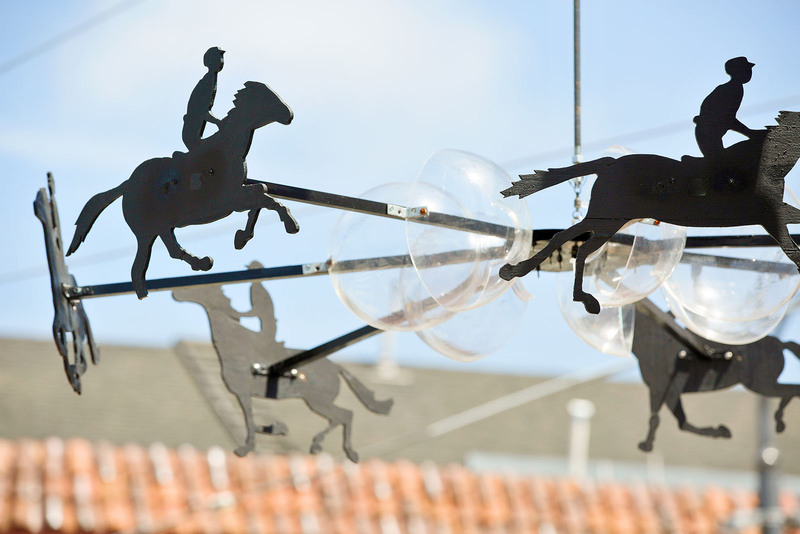 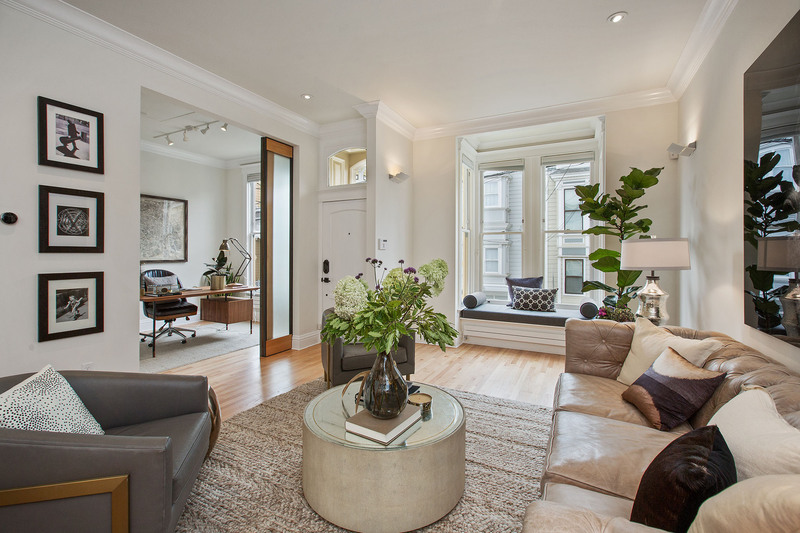 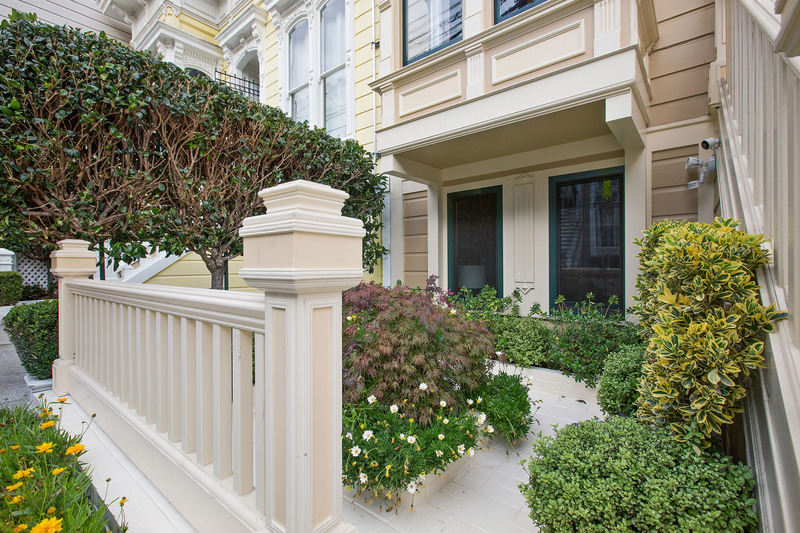 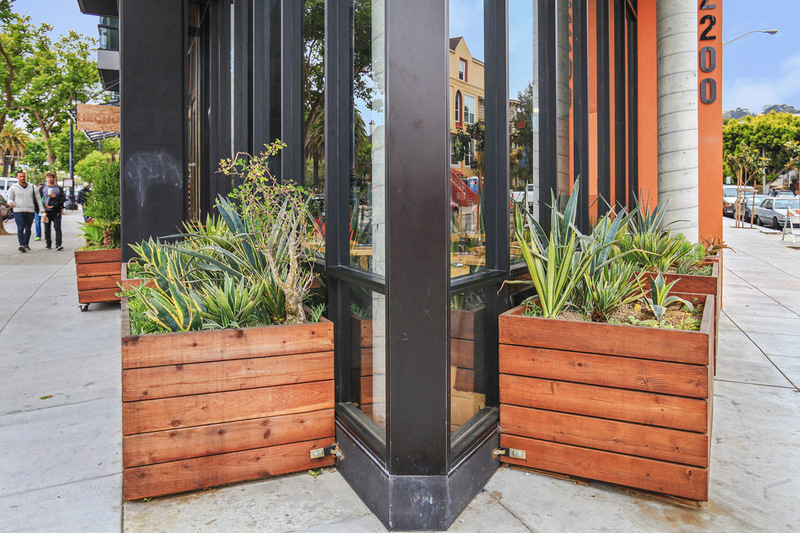 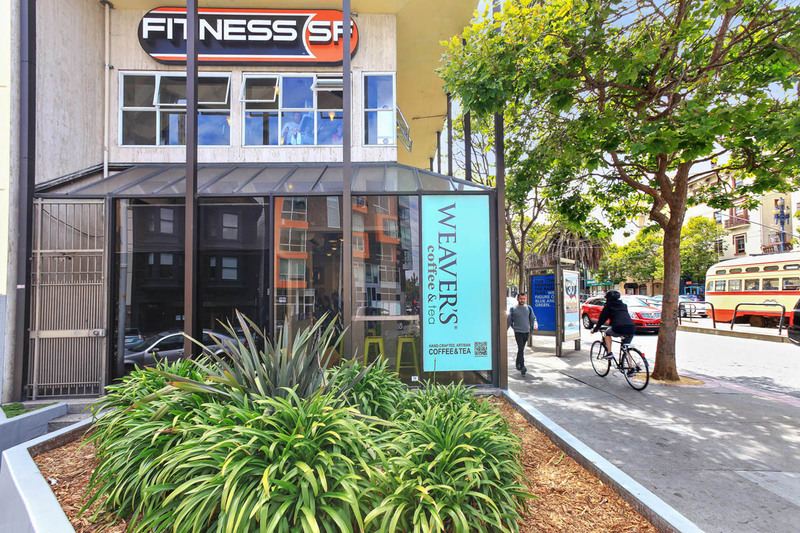 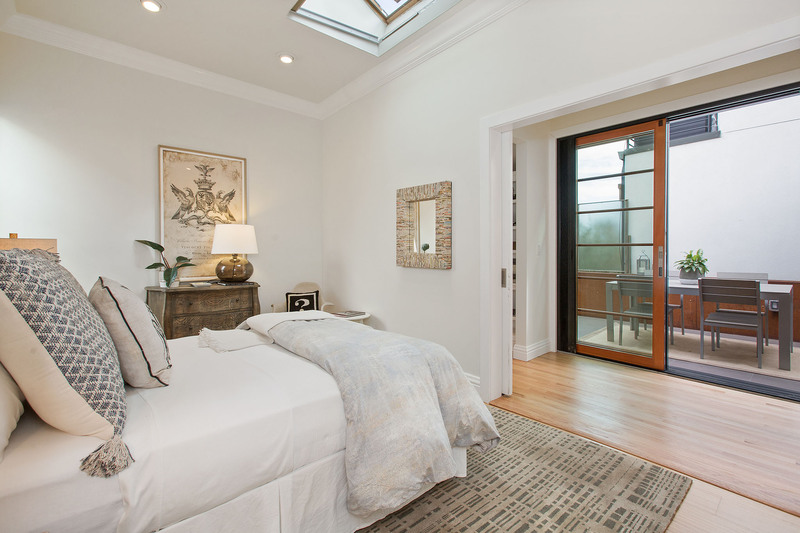 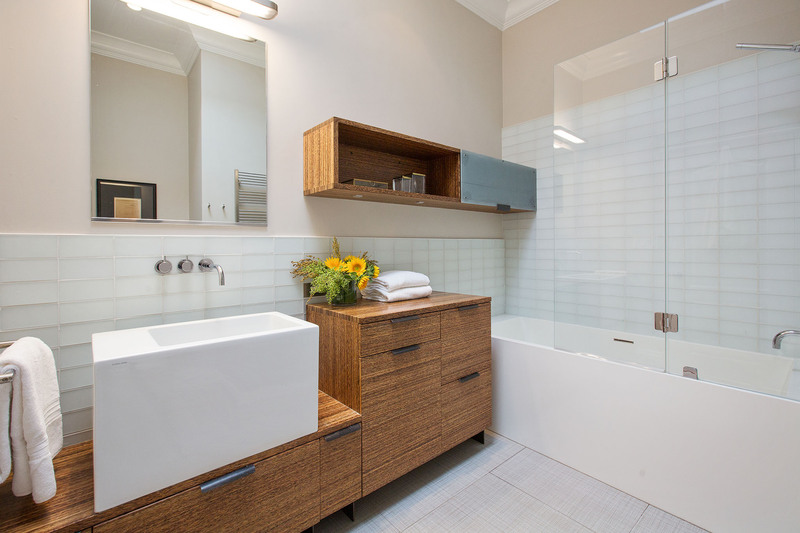 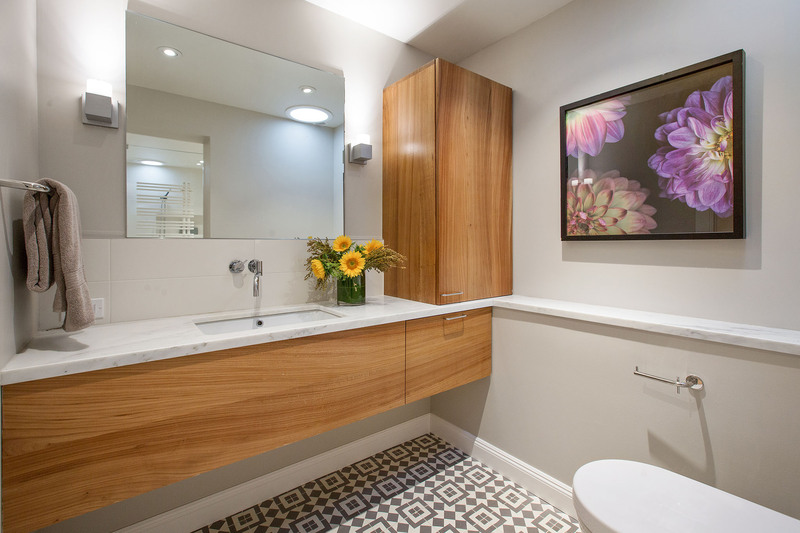 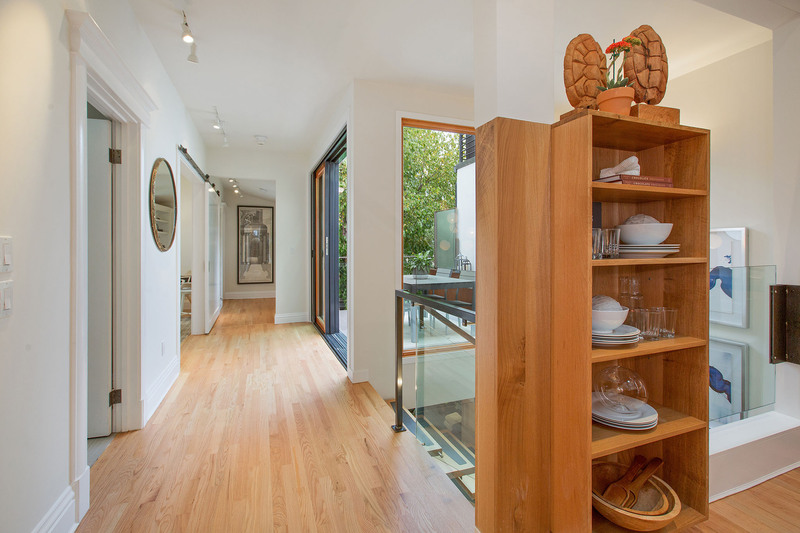 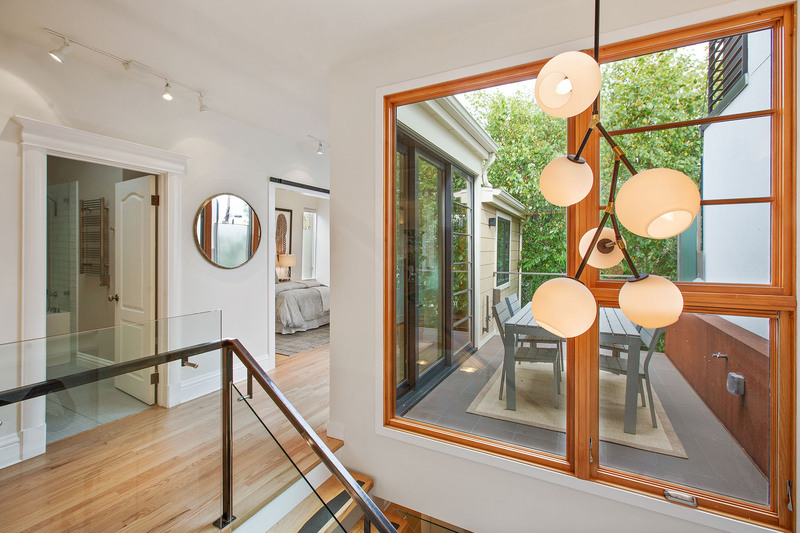 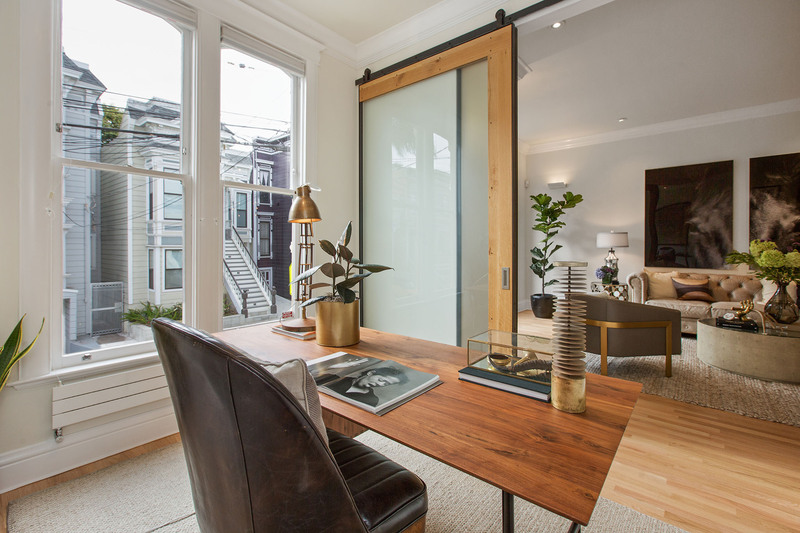 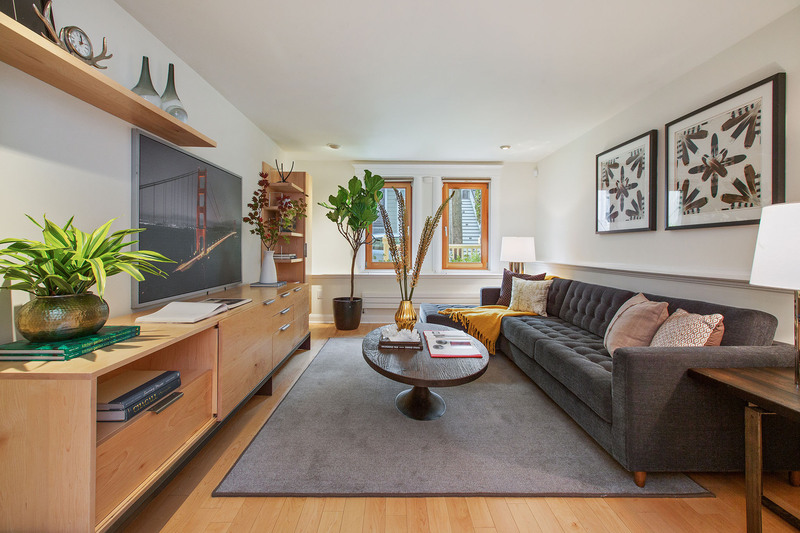 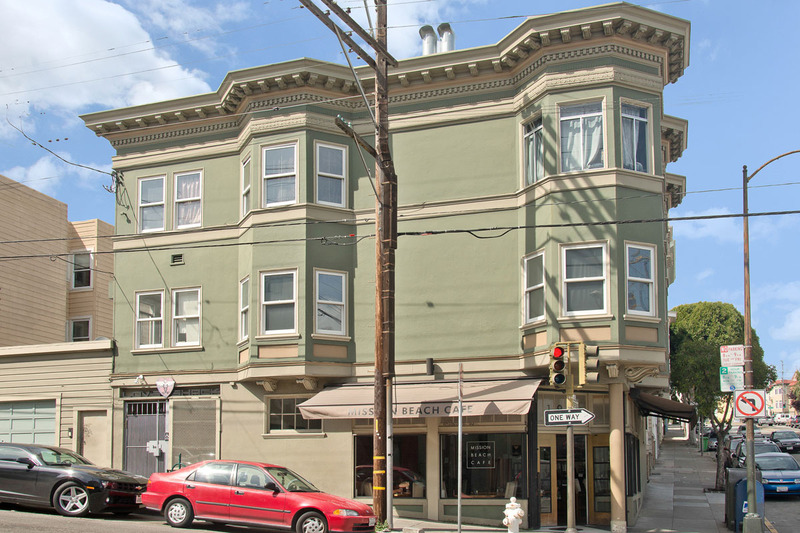 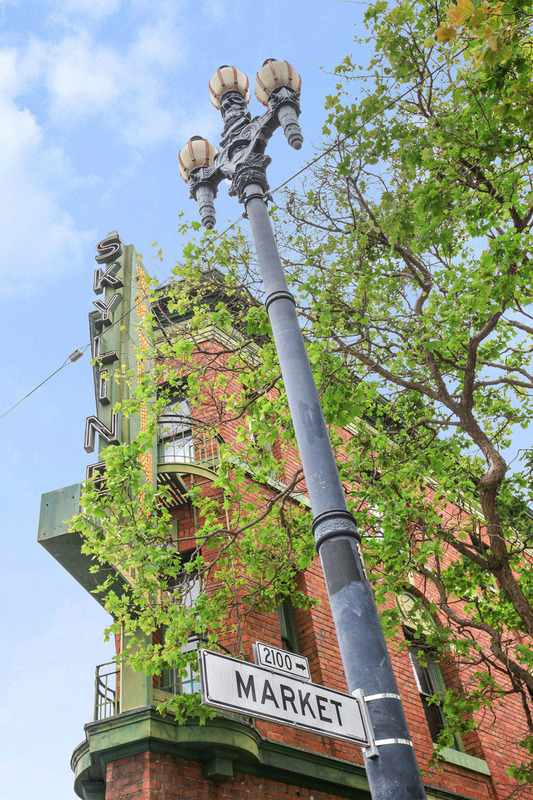 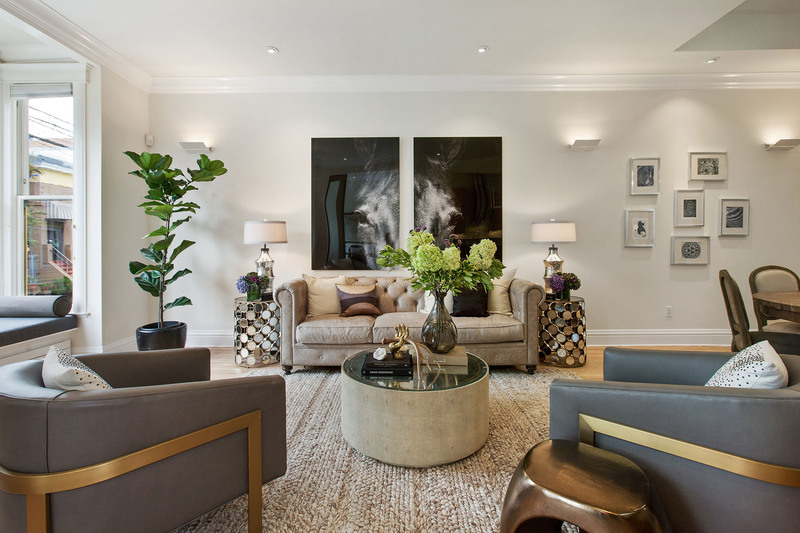 61 Prosper is the ultimate in urban living set between the Castro, Mission Dolores, and Duboce. 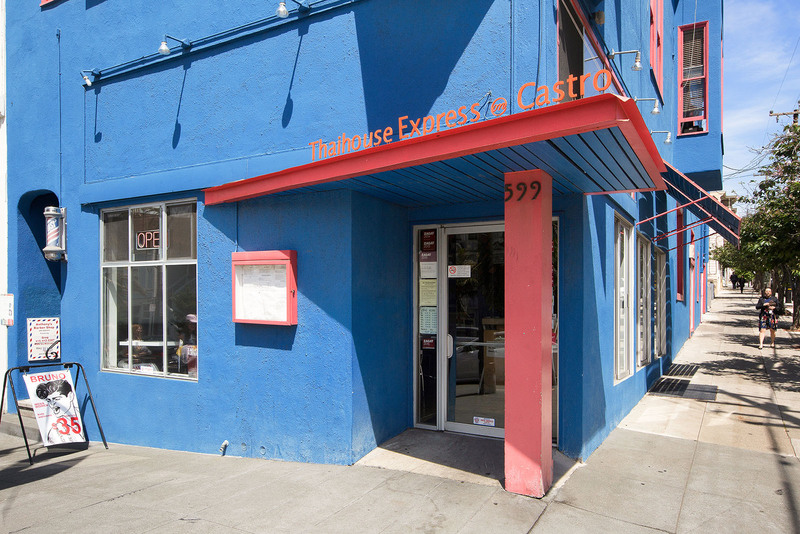 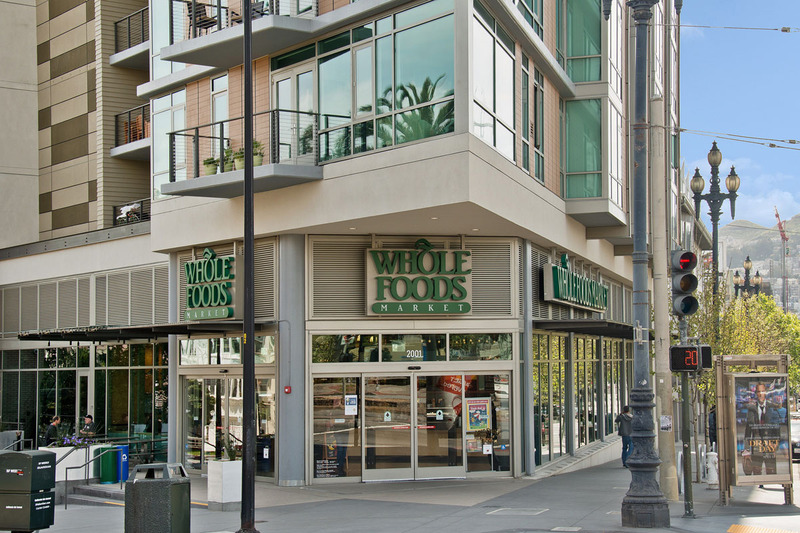 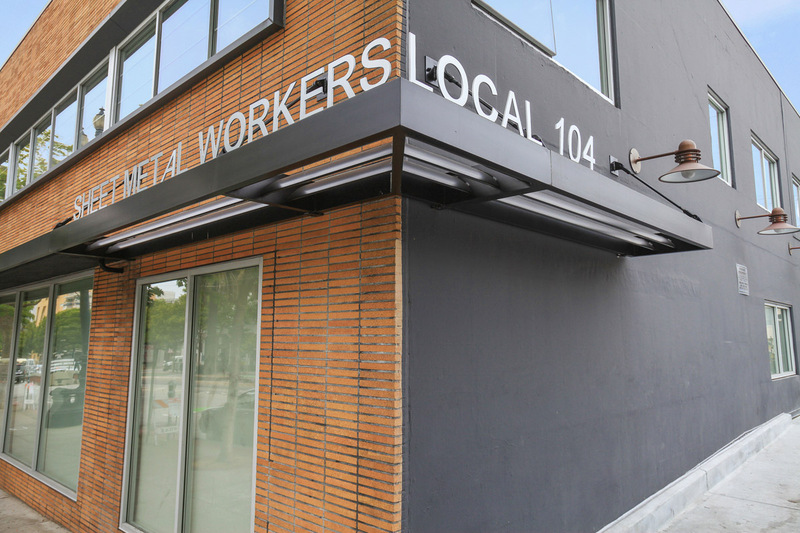 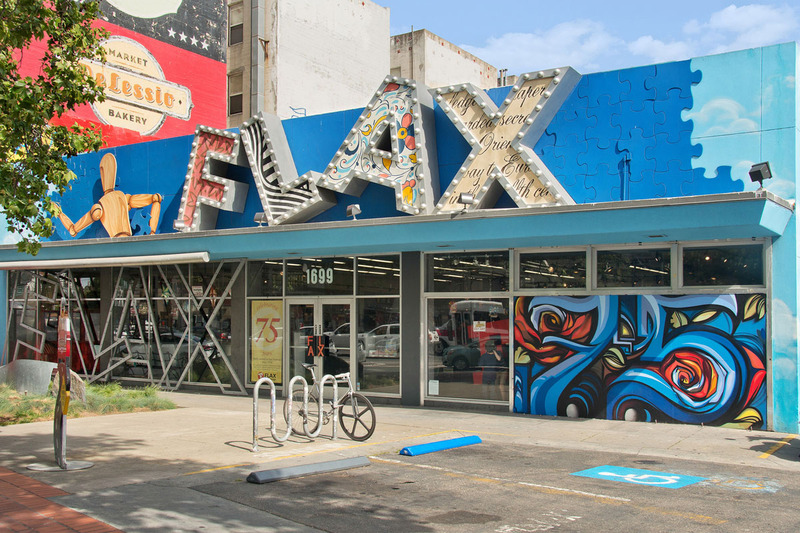 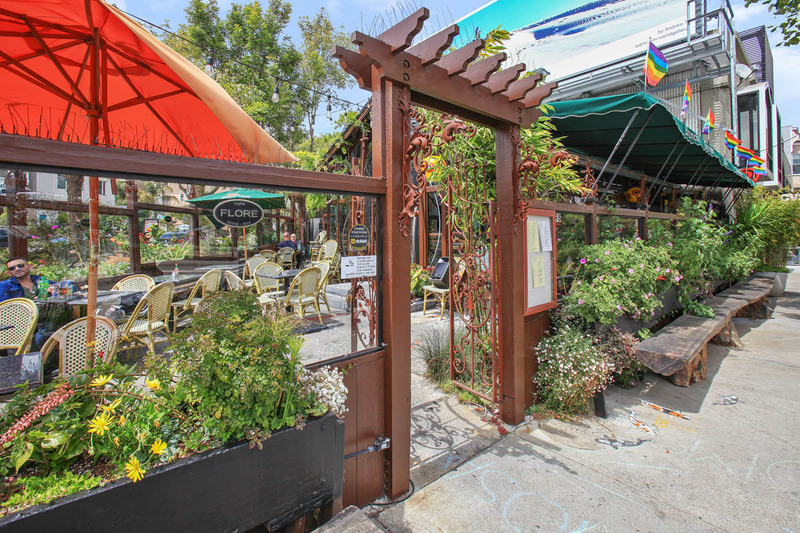 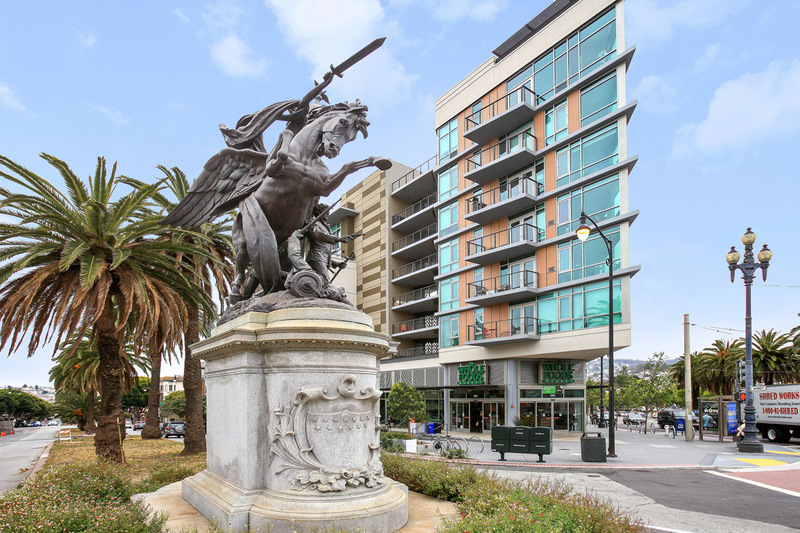 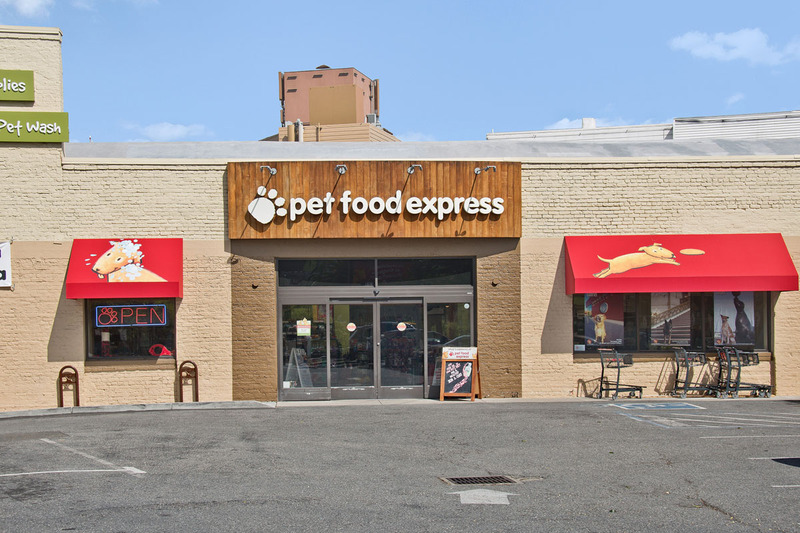 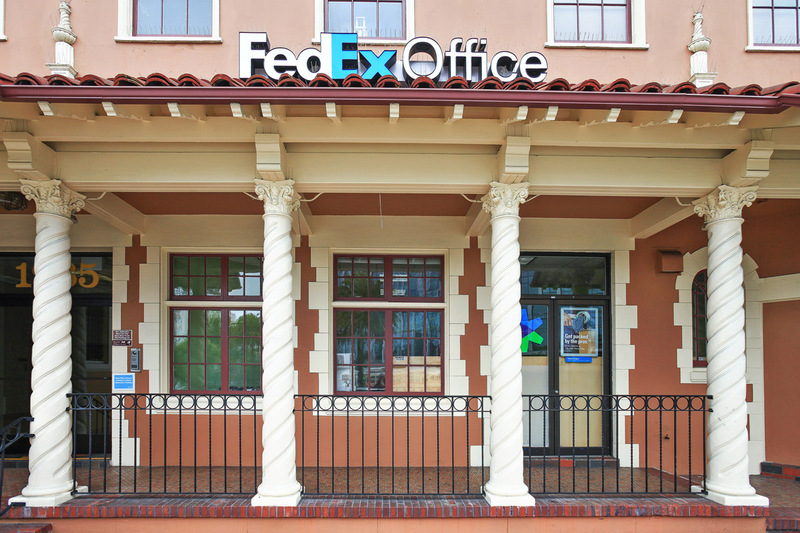 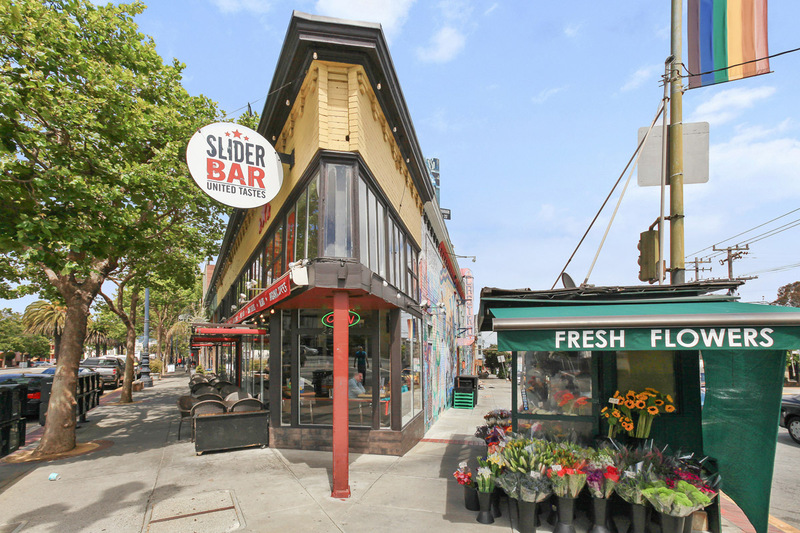 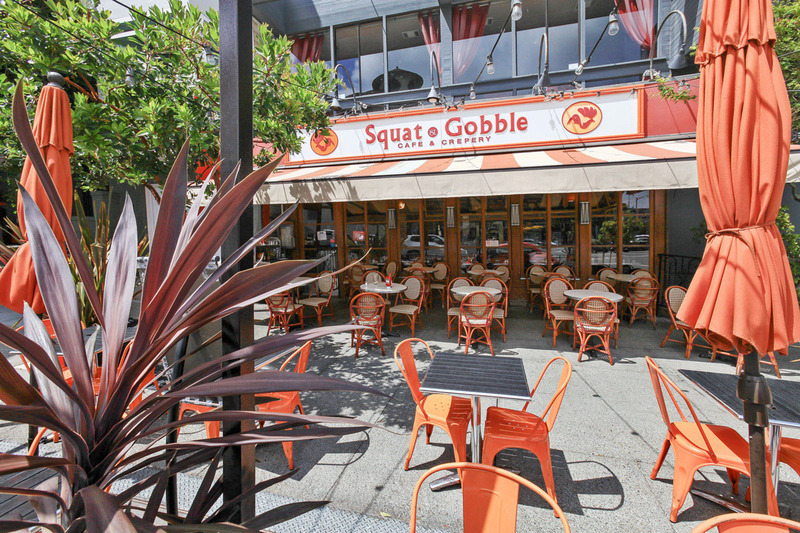 It is located in a flat, walkable location surrounded by shops, restaurants and abundant transportation options. 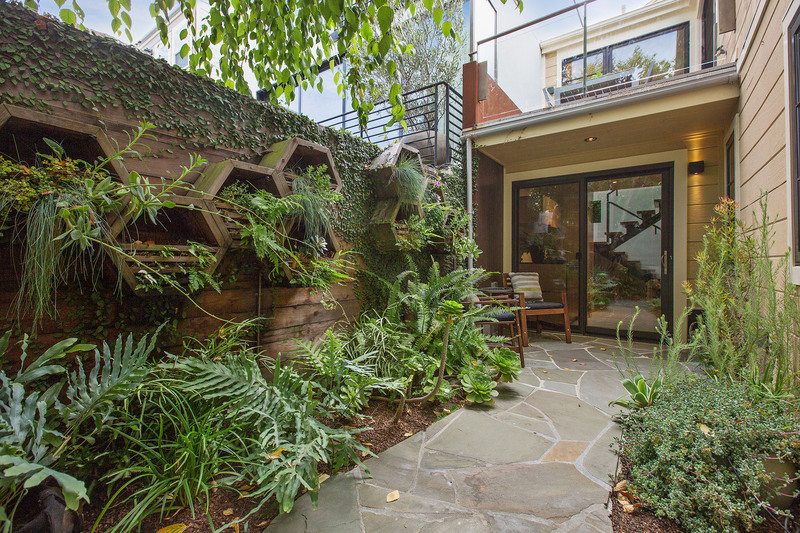 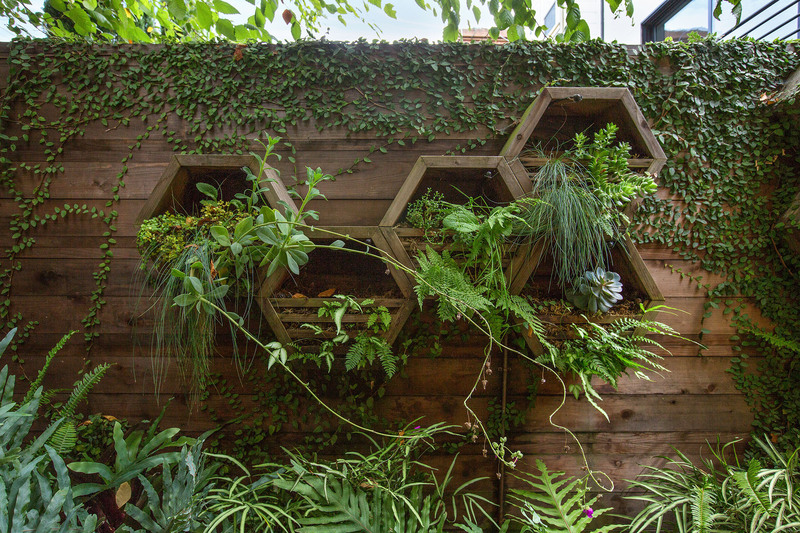 • Deck off kitchen/living area overlooking enchanting garden with living wall. 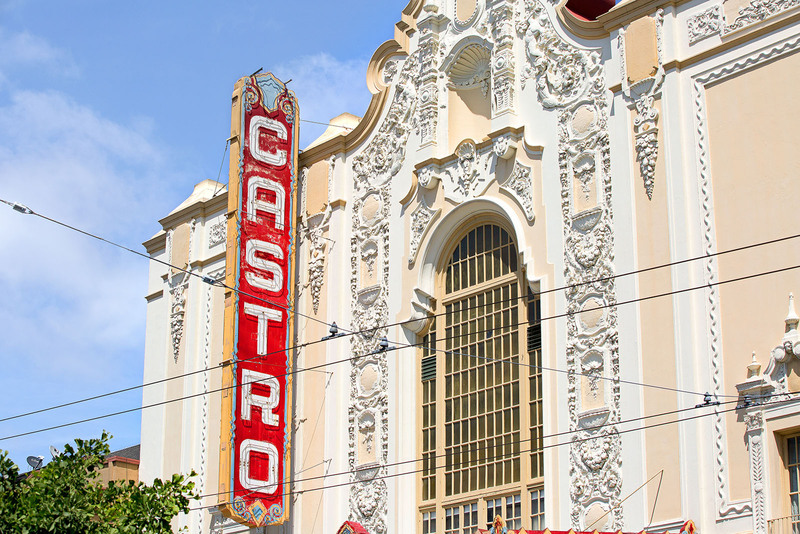 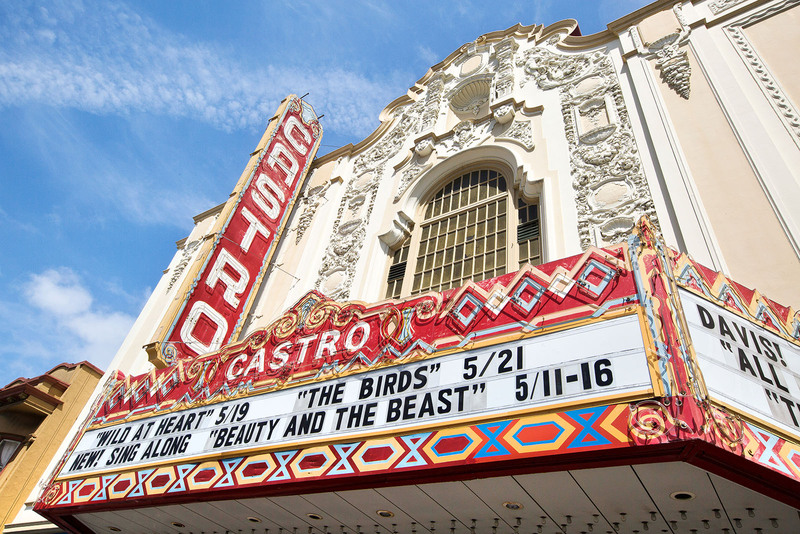 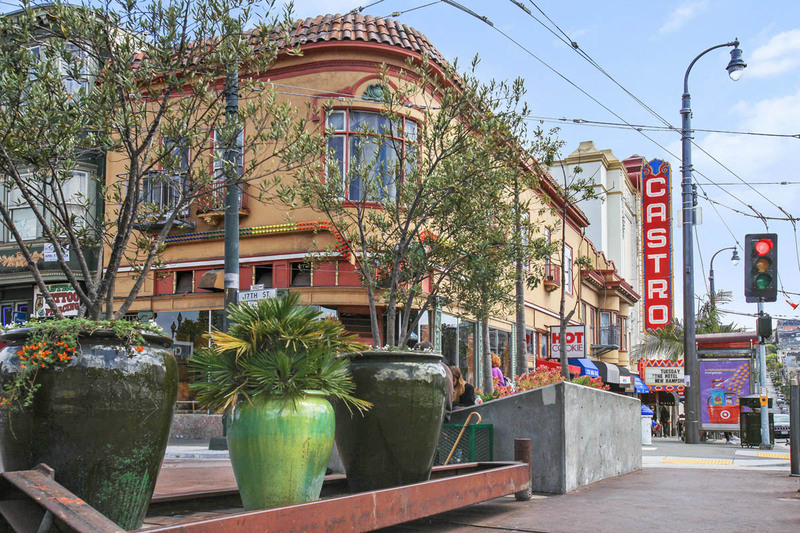 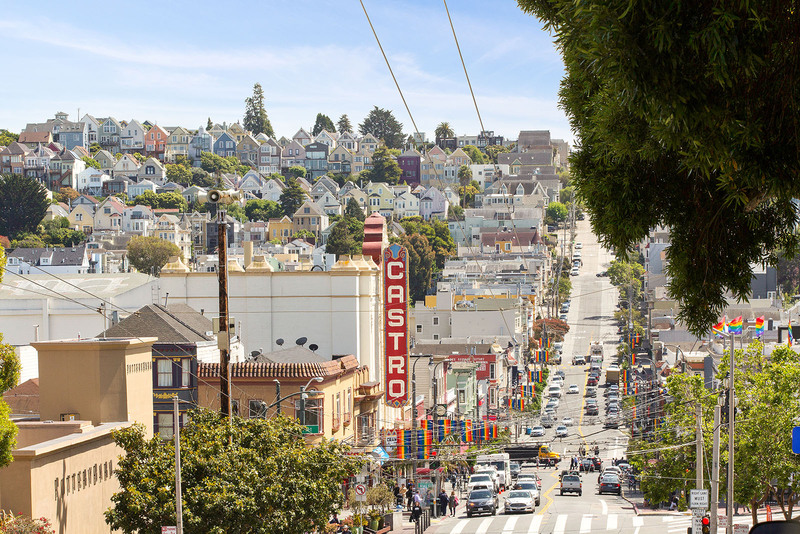 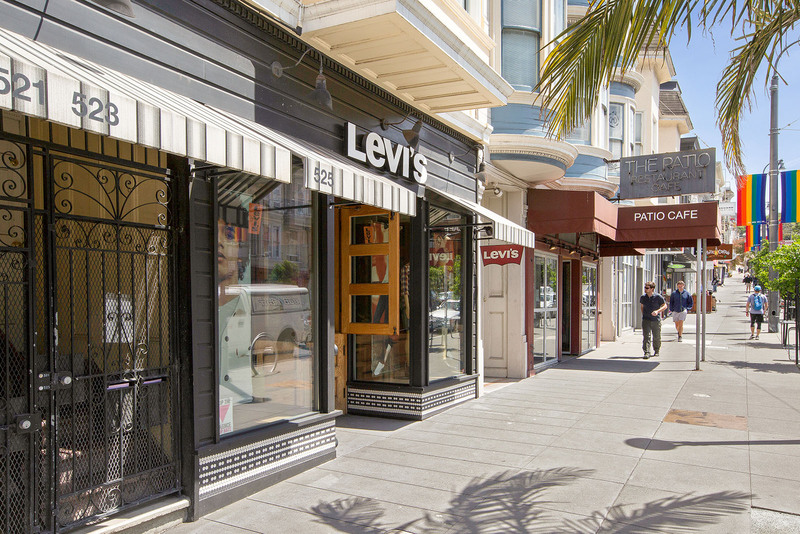 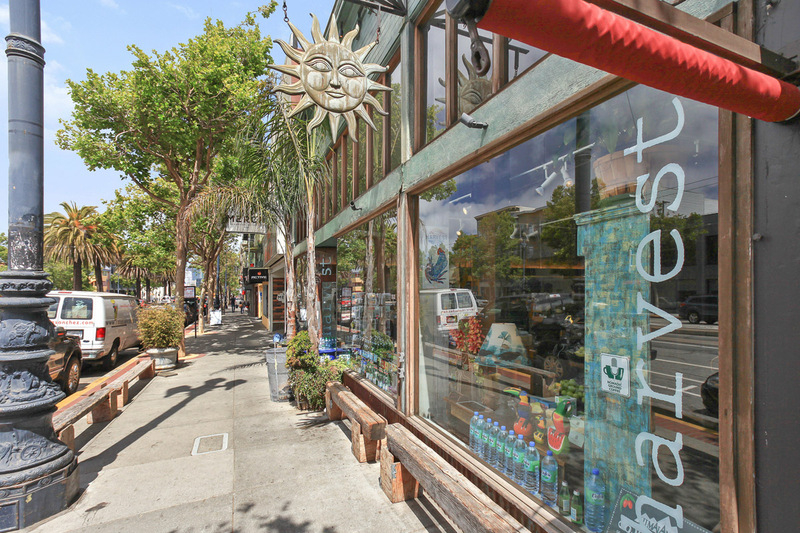 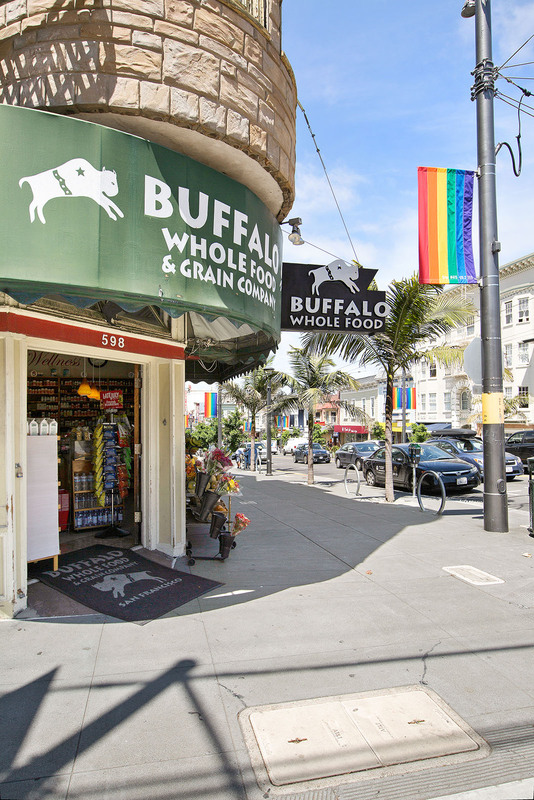 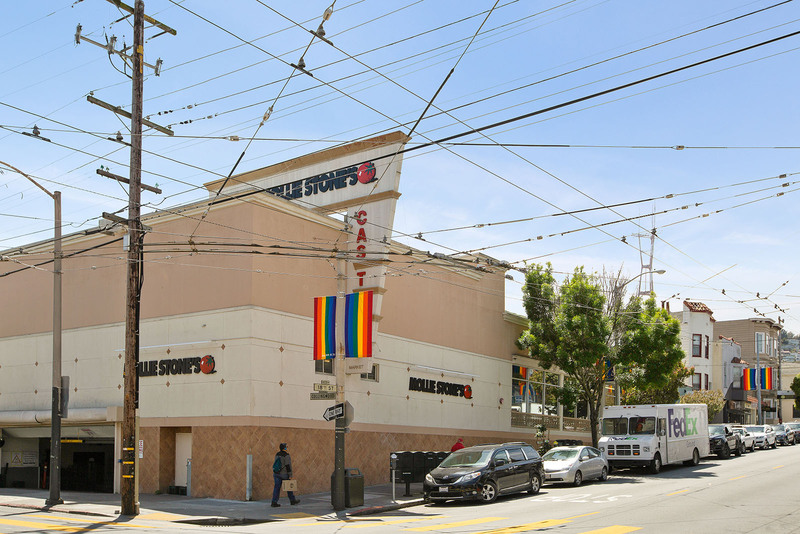 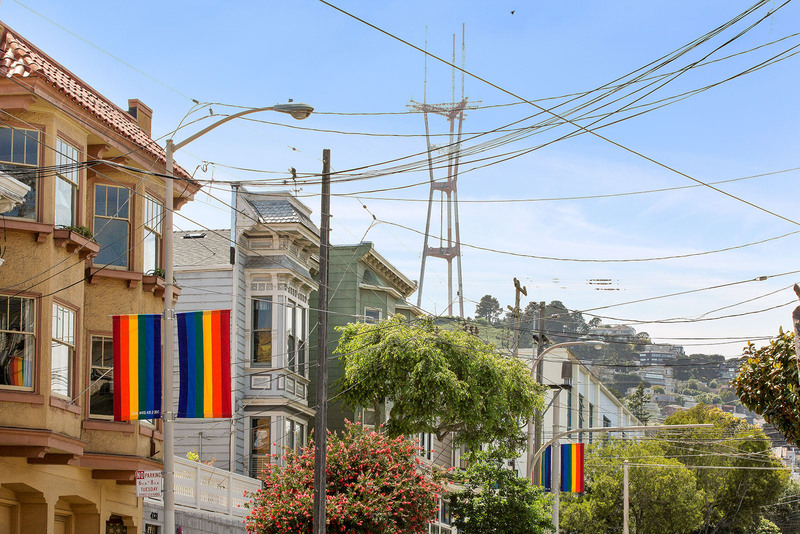 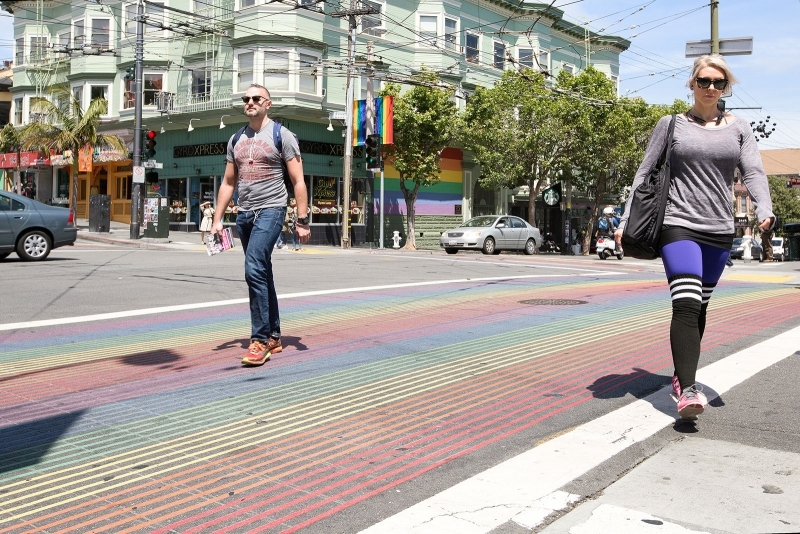 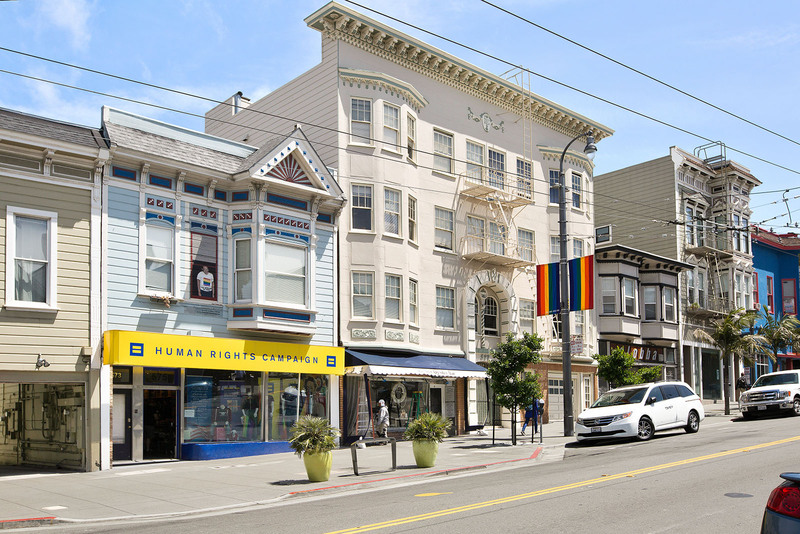 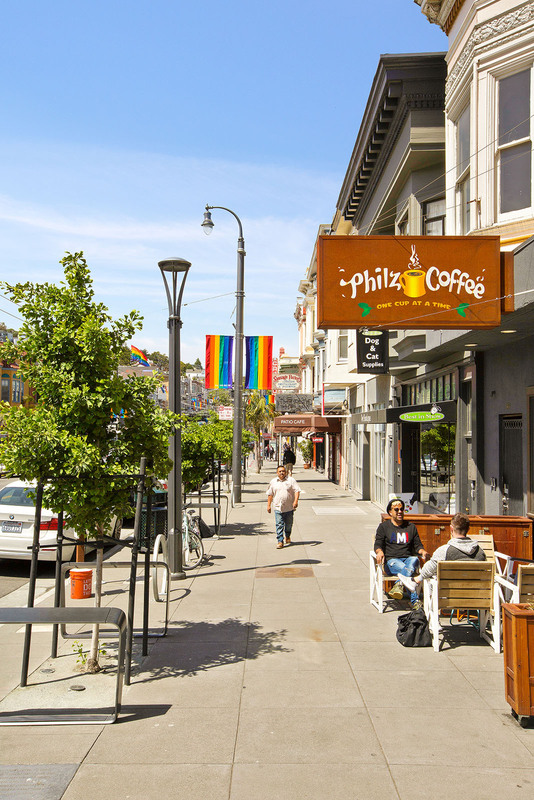 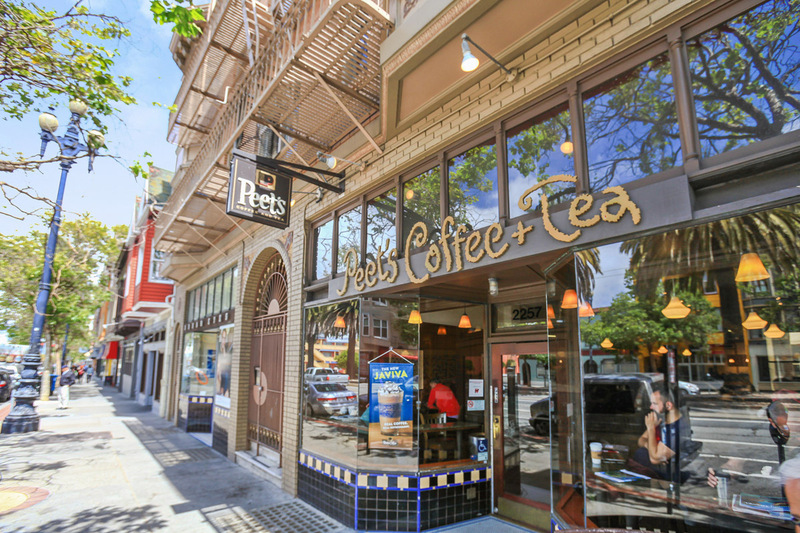 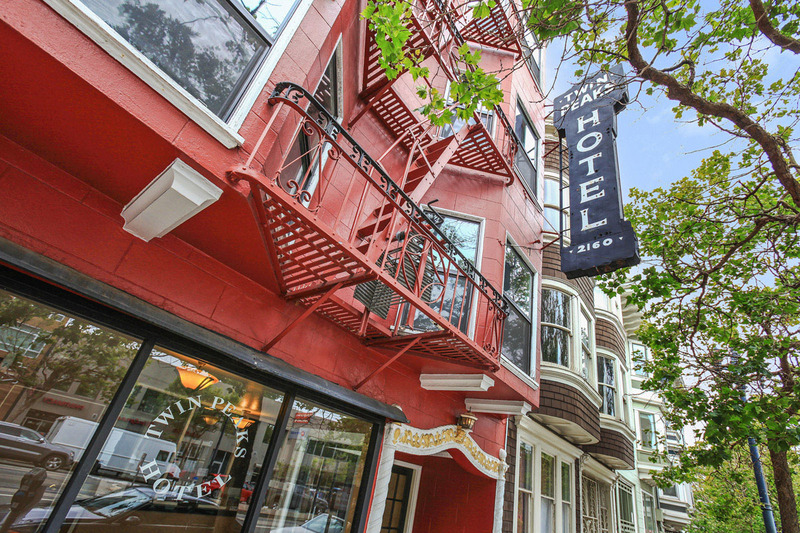 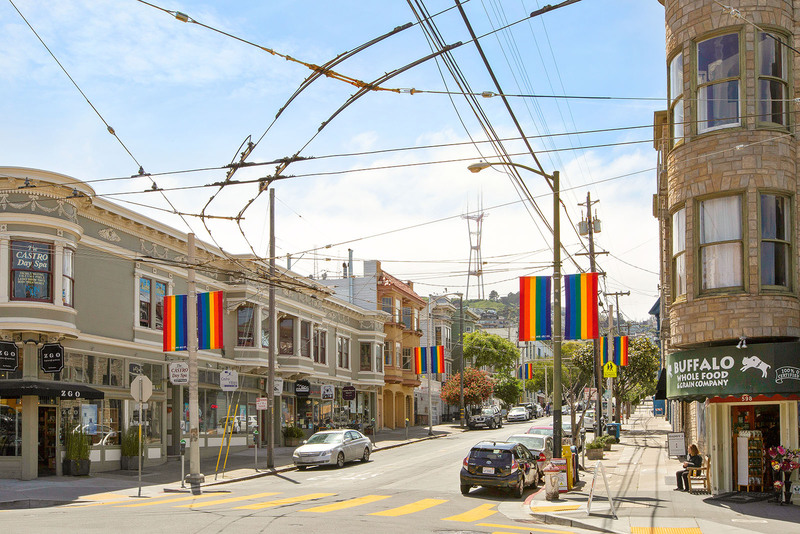 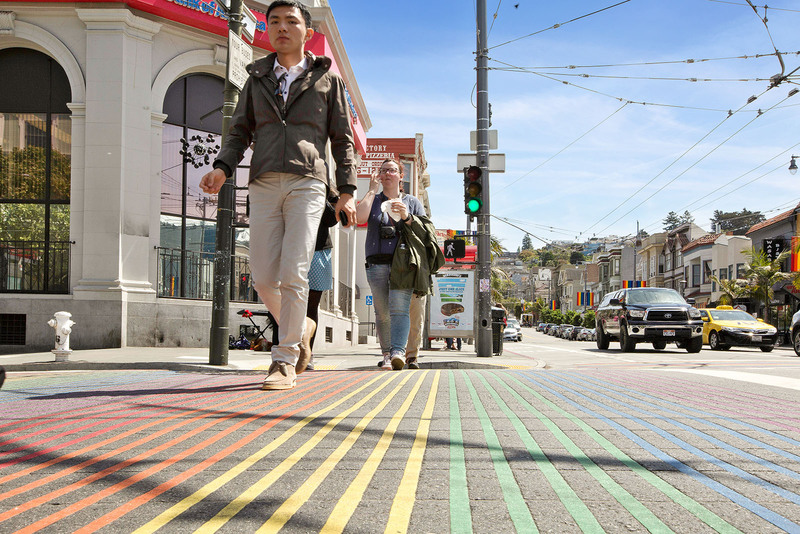 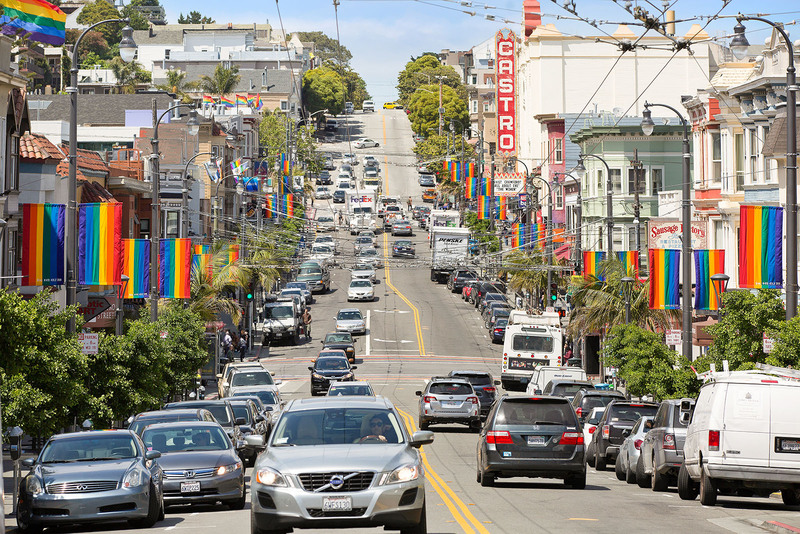 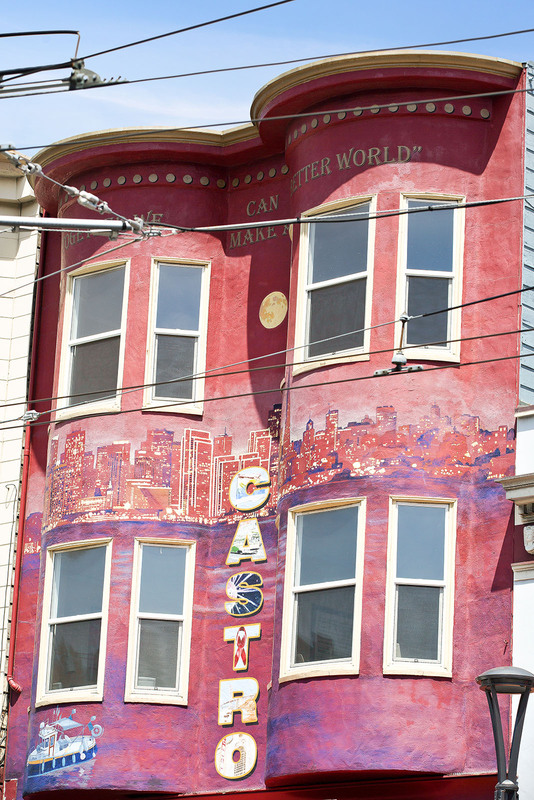 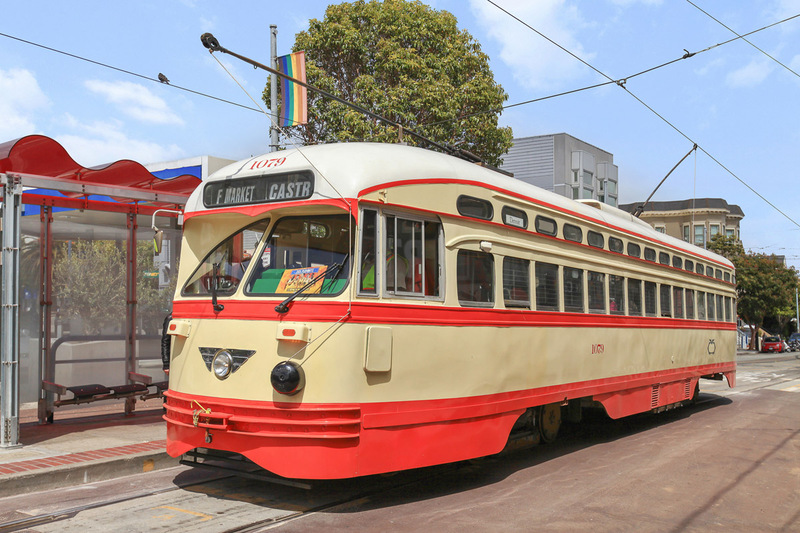 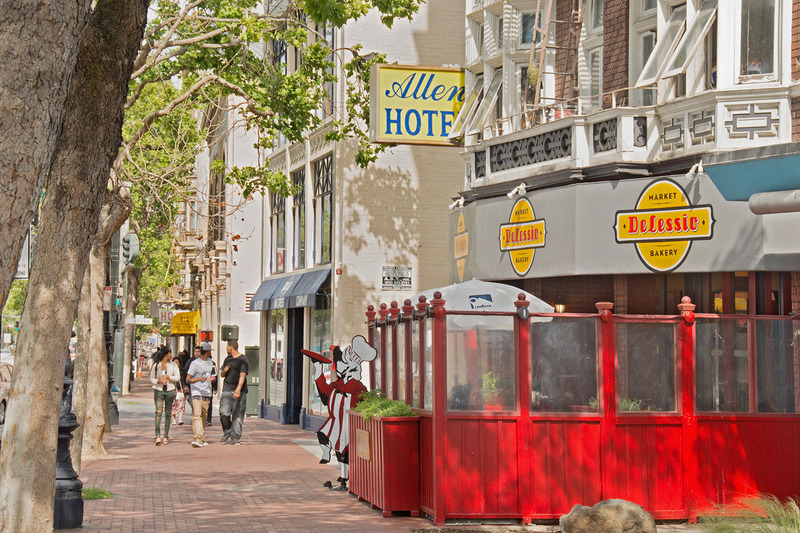 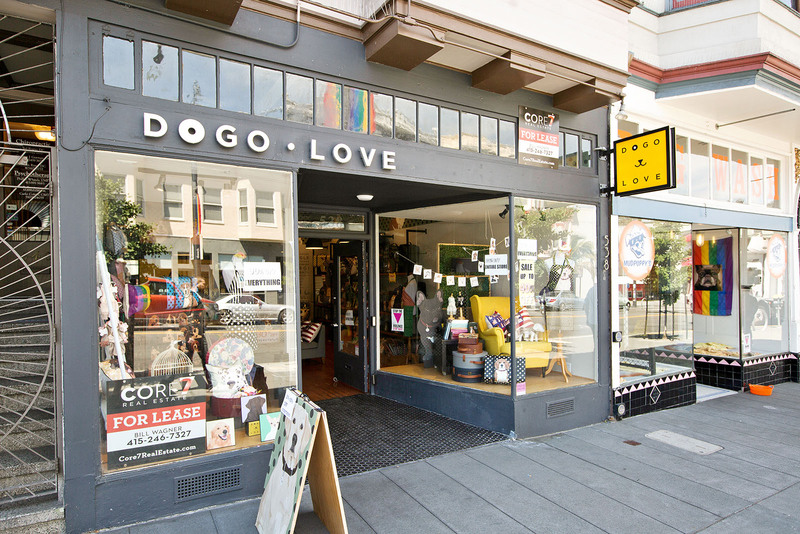 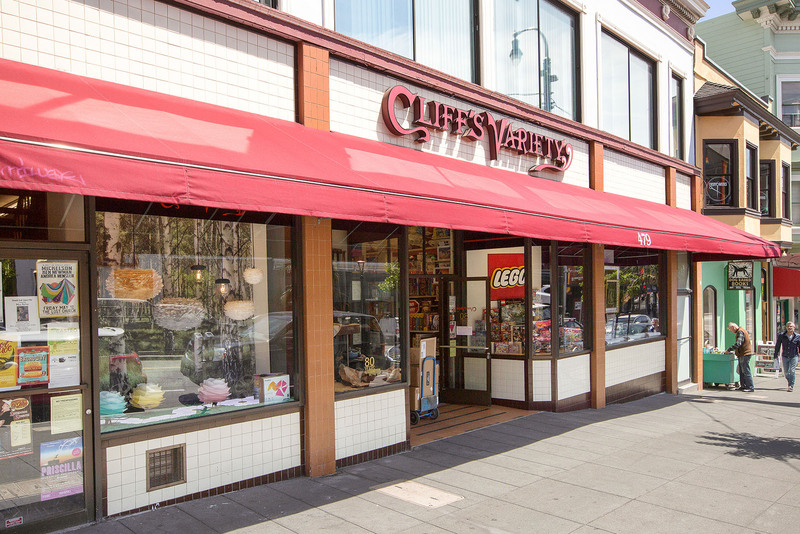 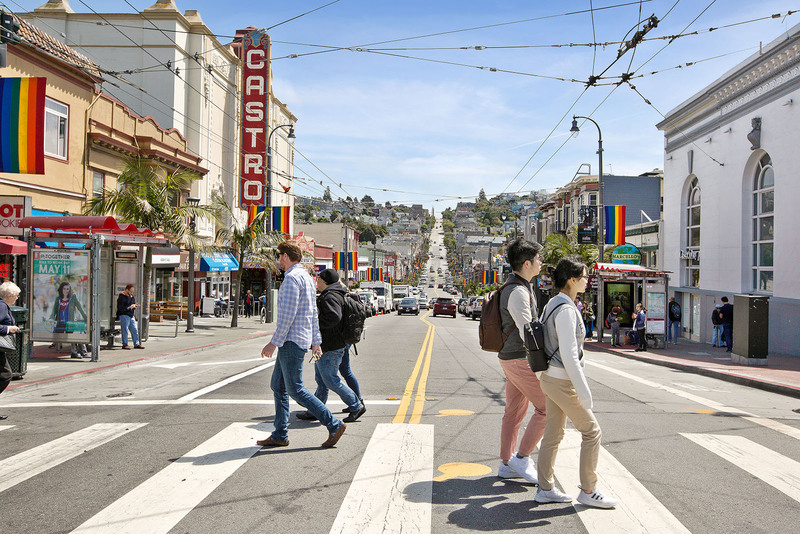 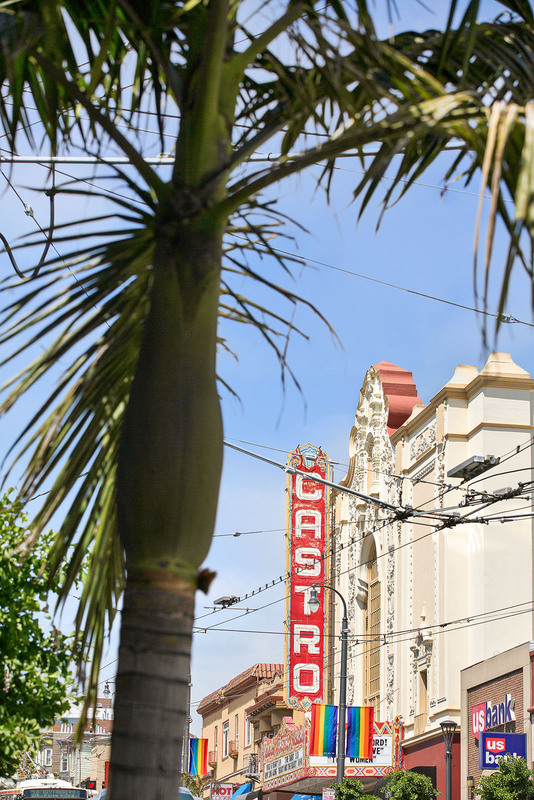 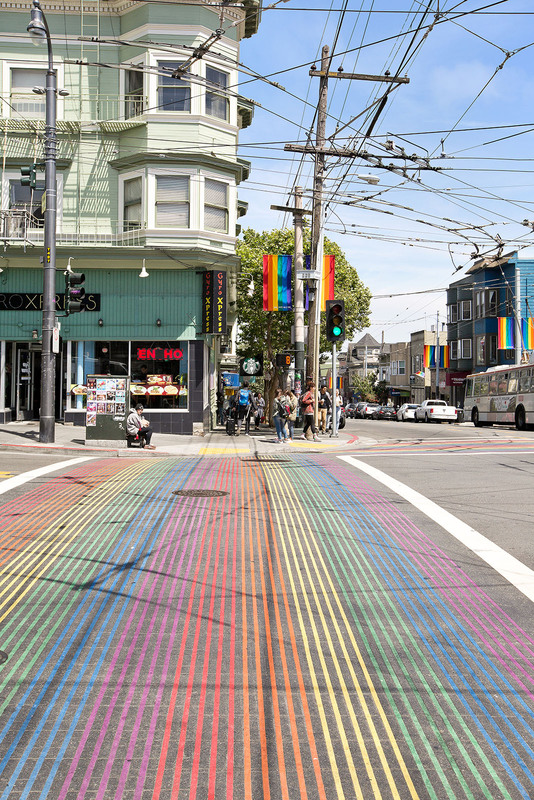 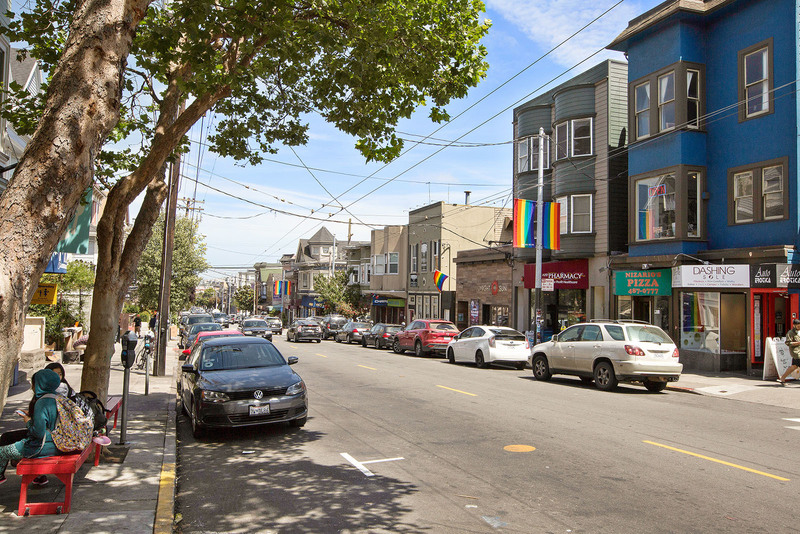 This vibrant and central location within San Francisco features the world-renowned Castro District, with its trendy shops, restaurants and boutiques that bustle all day long. 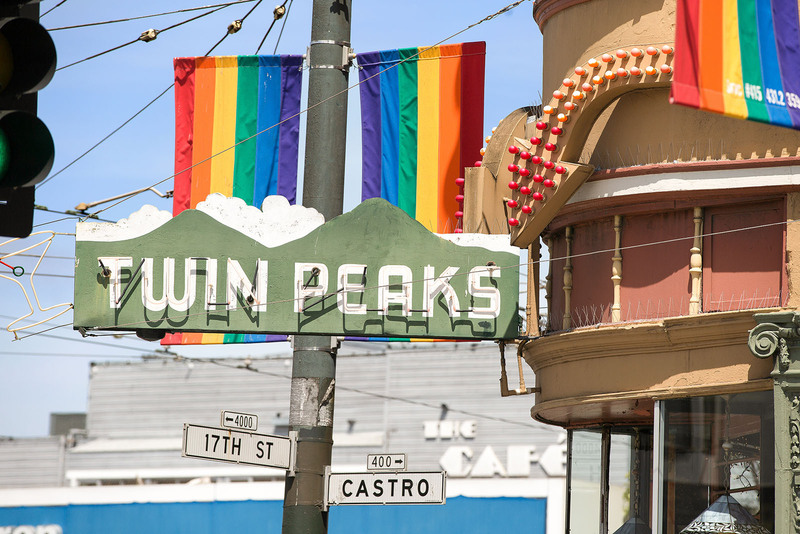 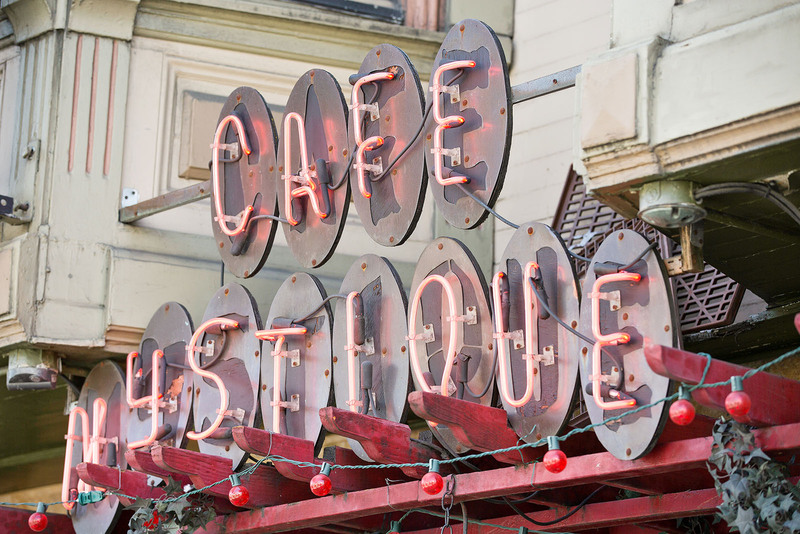 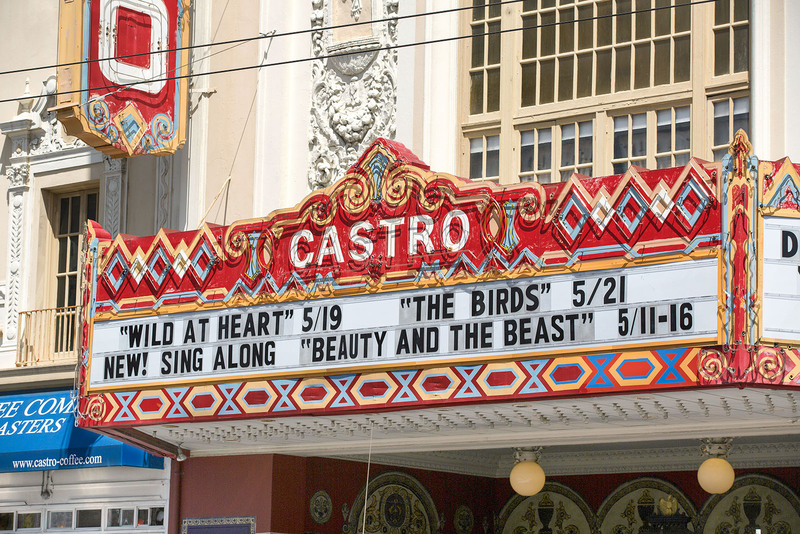 At night, this area really comes alive as favorite restaurants and bars such as Frances, Starbelly, Anchor Oyster Bar and The Twin Peaks fill up and the Castro Theatre's neon marquee lights up the main drag. 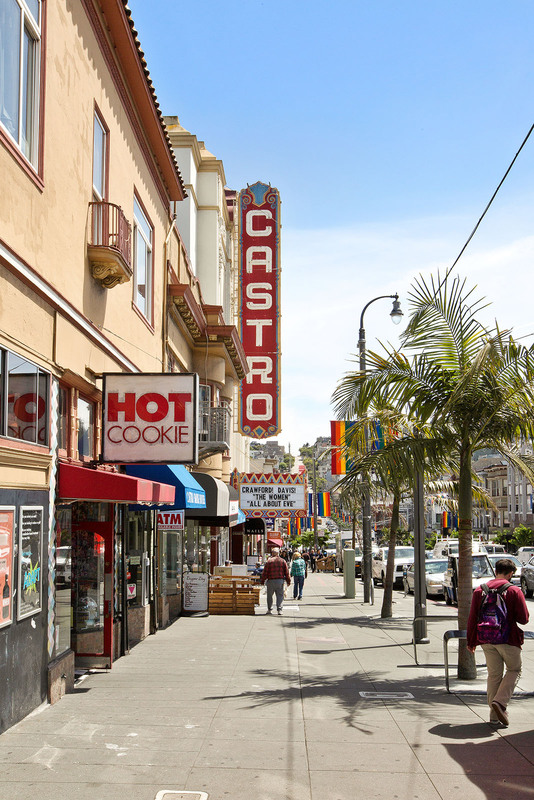 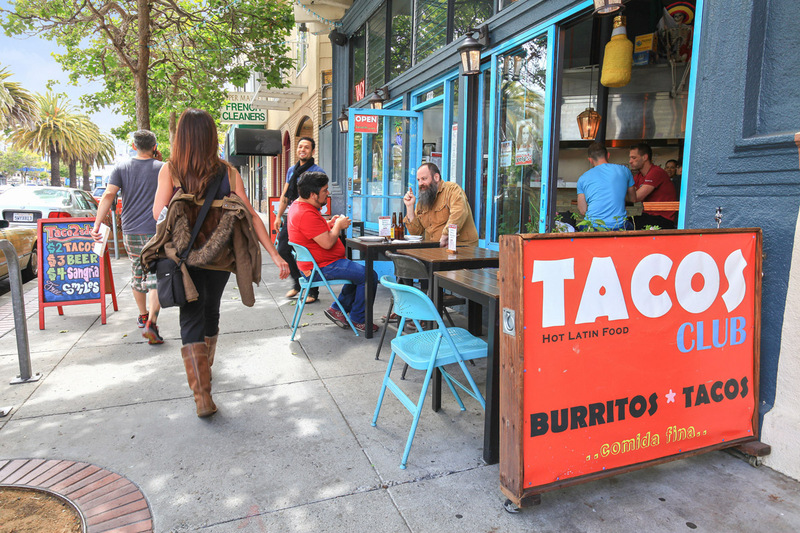 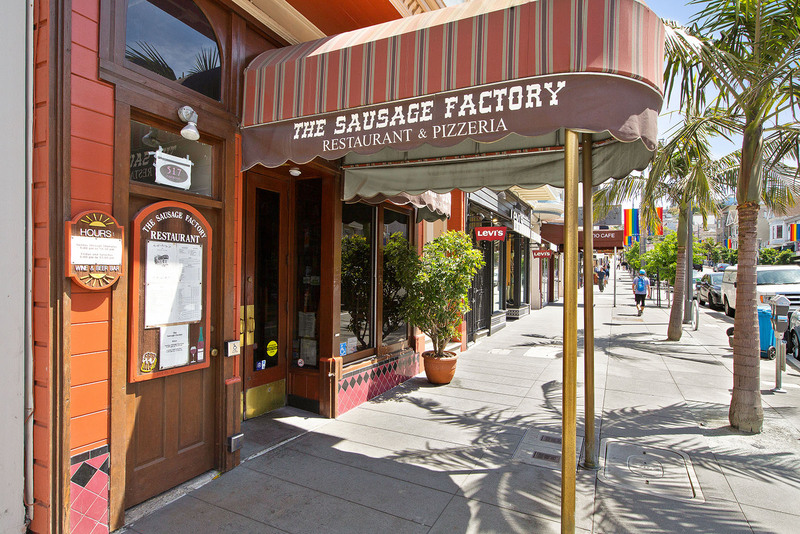 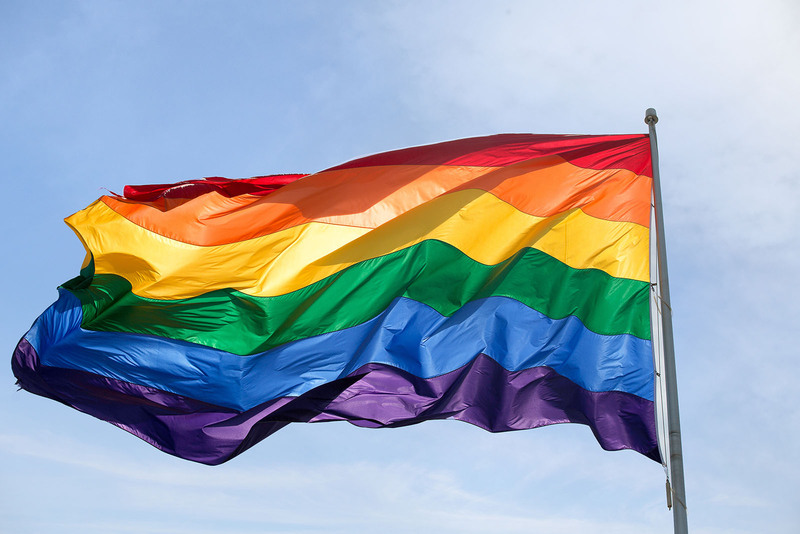 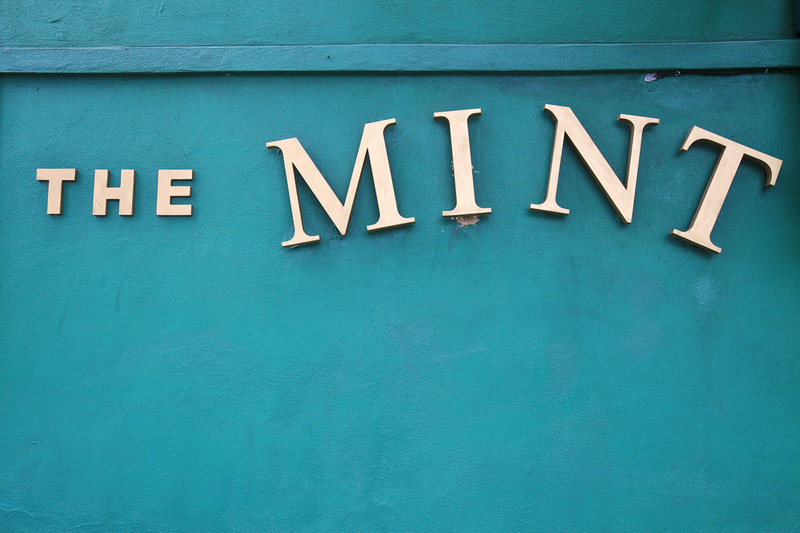 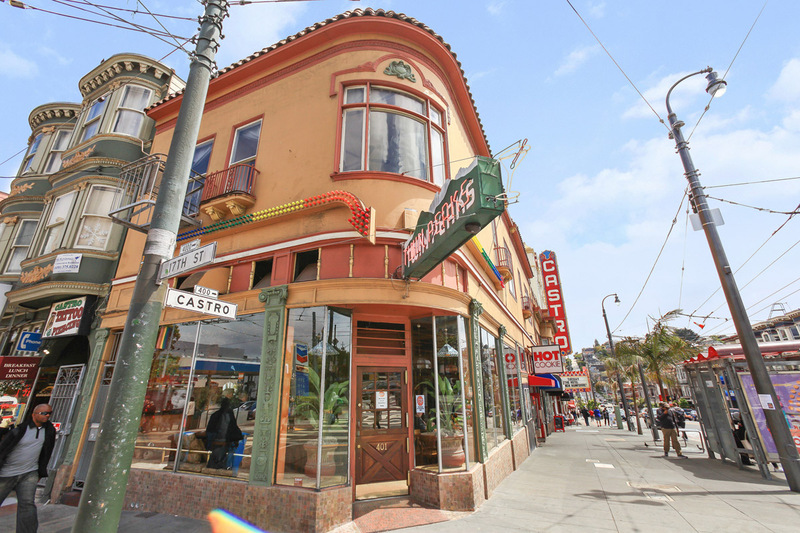 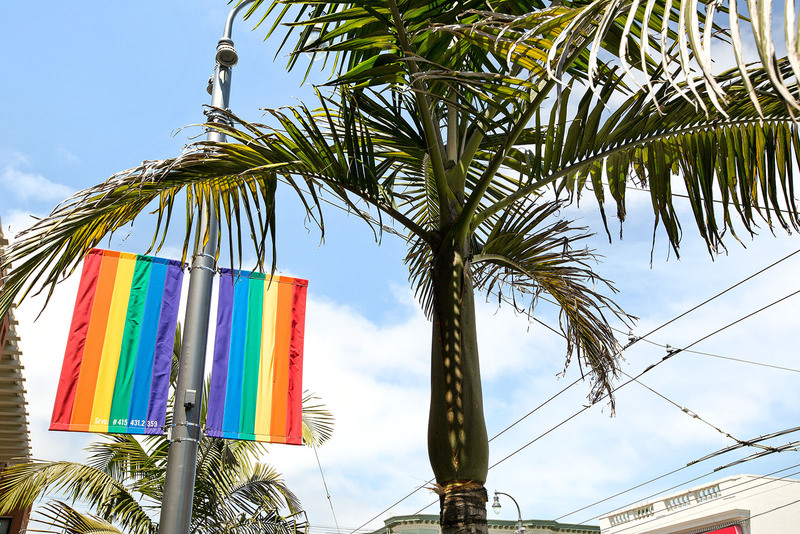 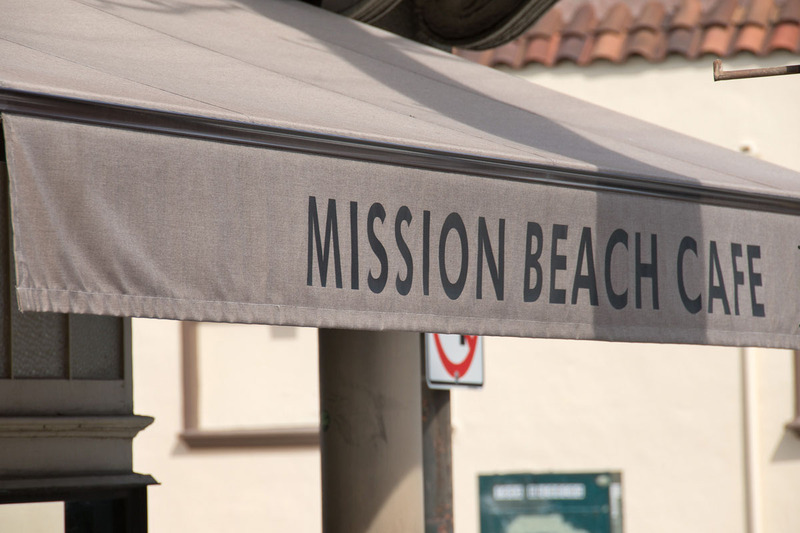 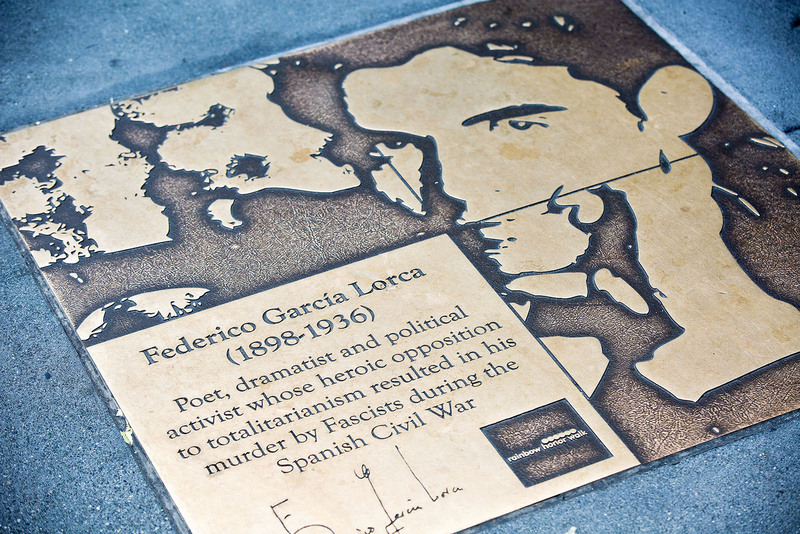 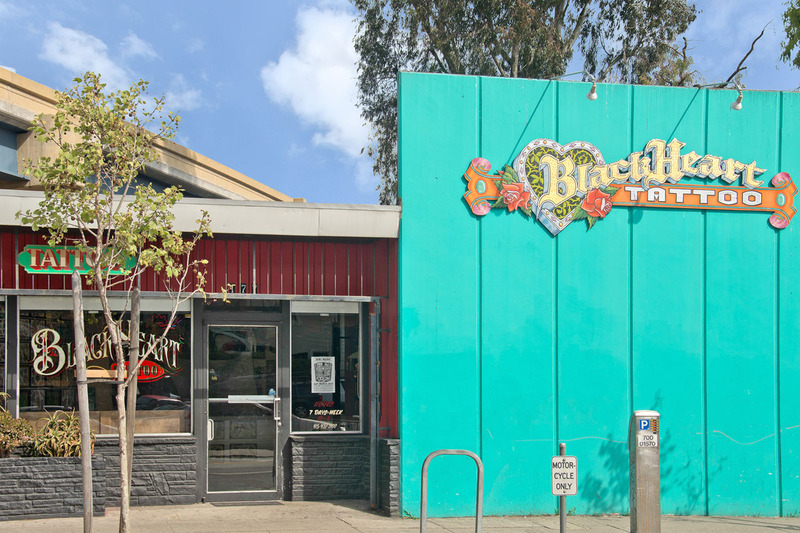 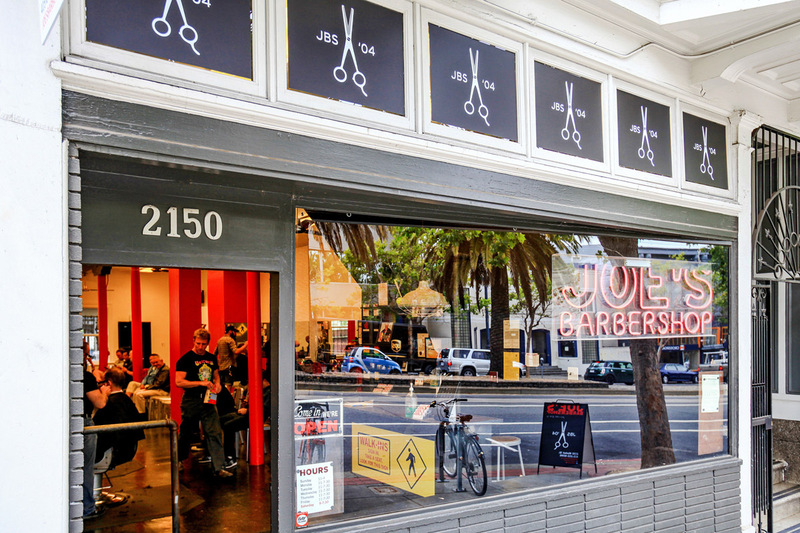 Adjacent to the Castro lies the Mission Dolores neighborhood which is overshadowed by an ornate basilica, one of the original missions in San Francisco and oldest standing building in the city. 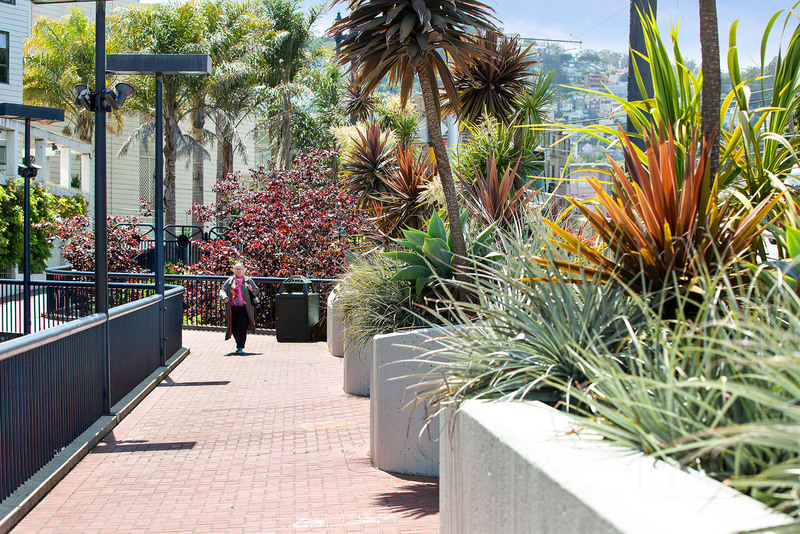 Adjacent is the ever-popular Dolores Park, always a favorite for those who wish to retreat from the hustle and bustle of the city. 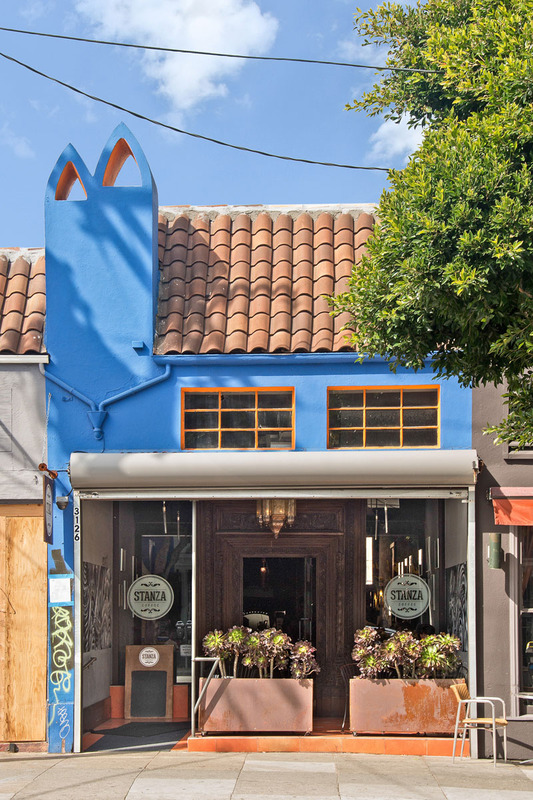 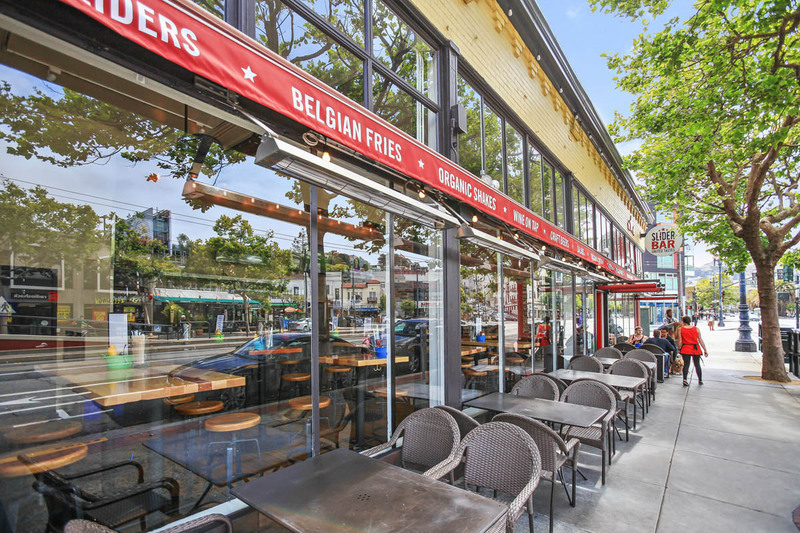 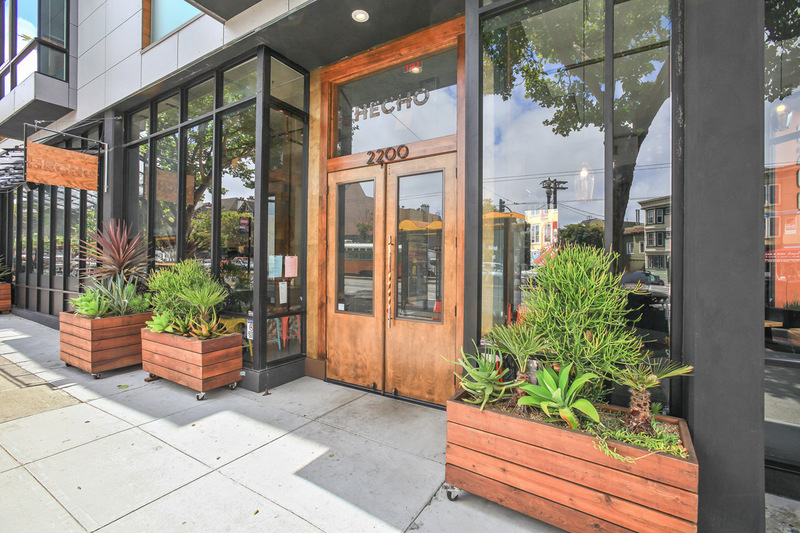 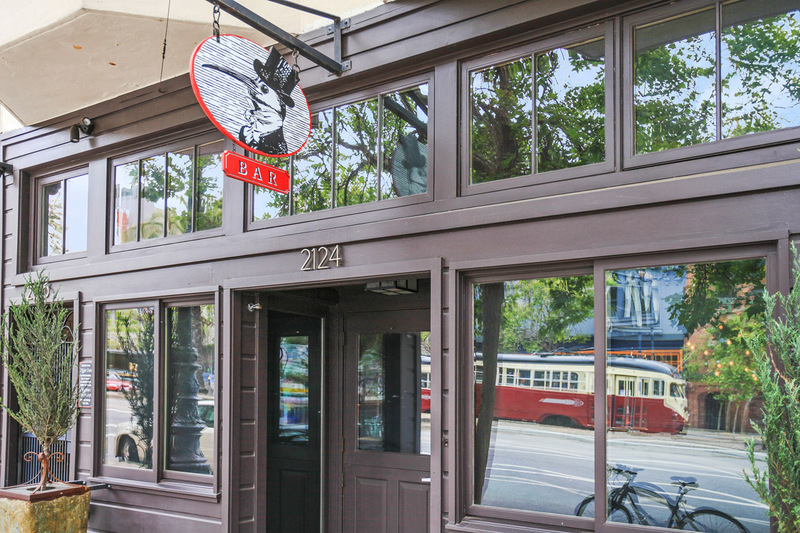 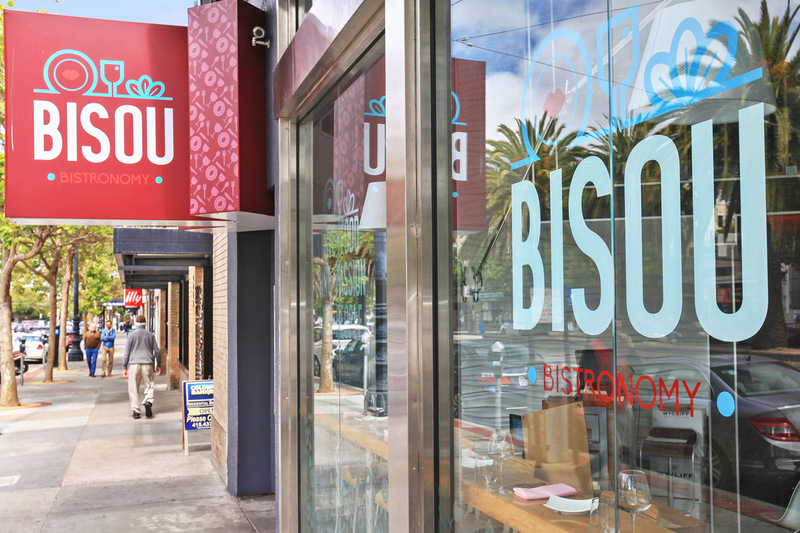 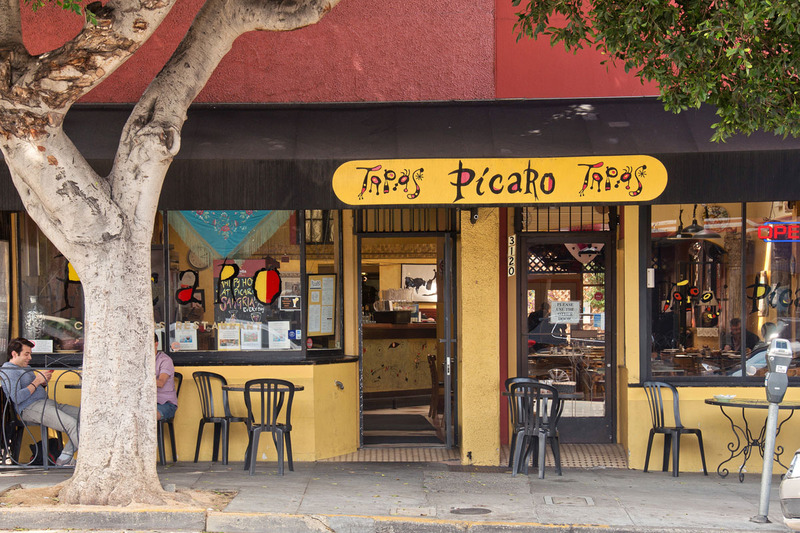 Acclaimed restaurants such as Foreign Cinema, Delfina and Dosa are among the many popular dining establishments to be found nearby. 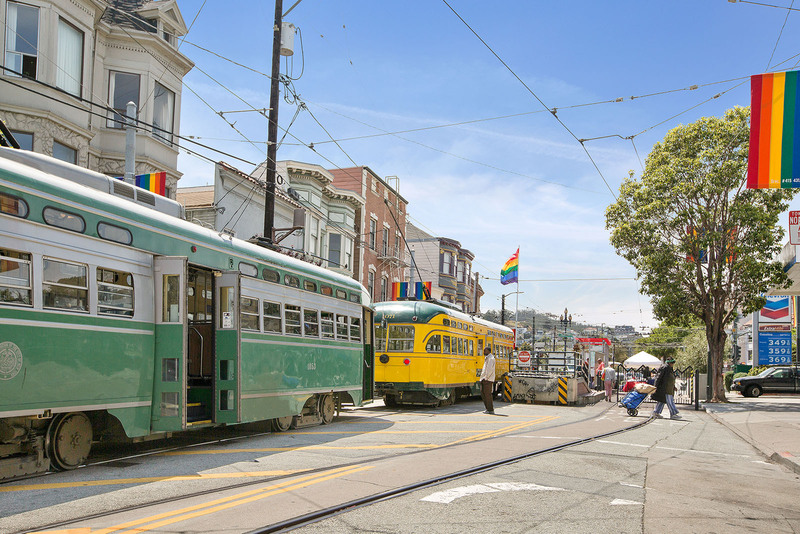 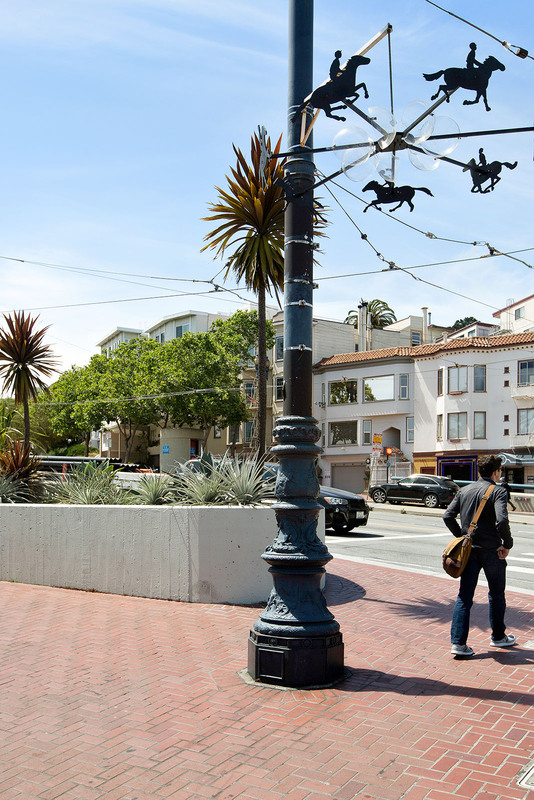 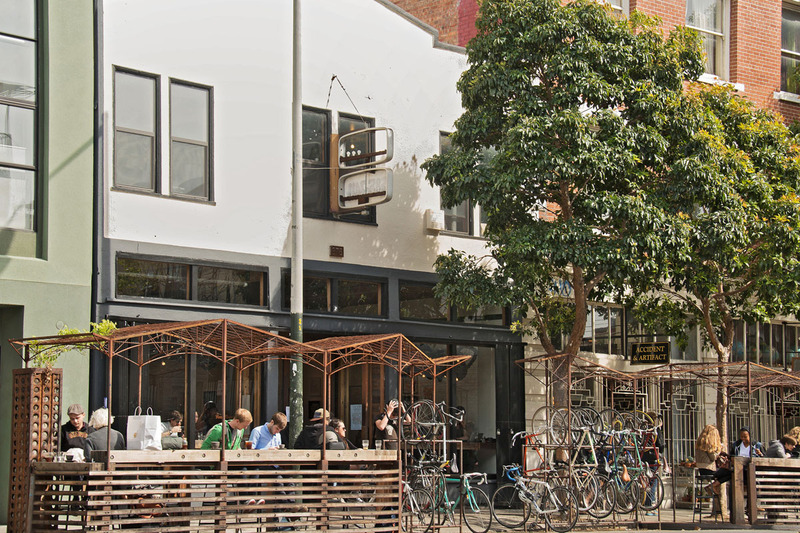 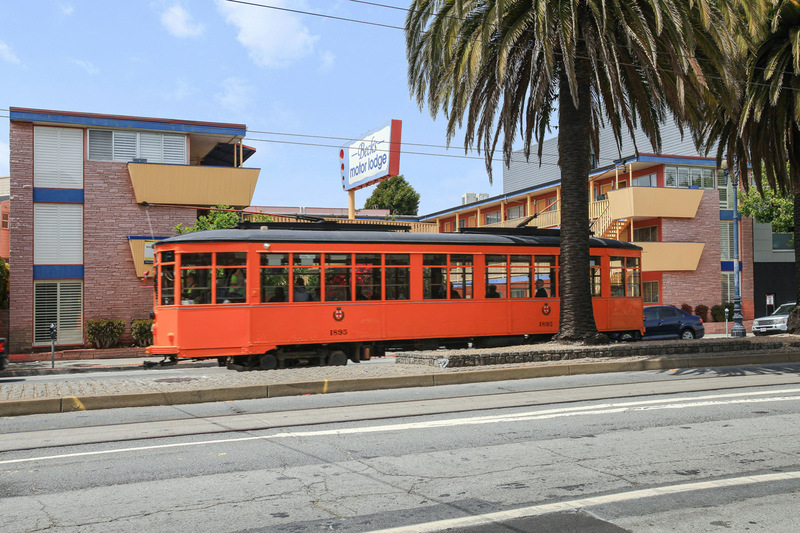 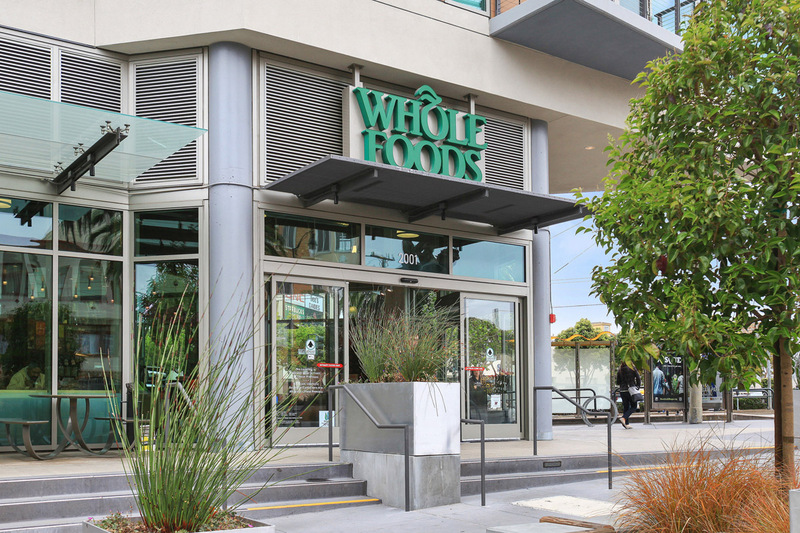 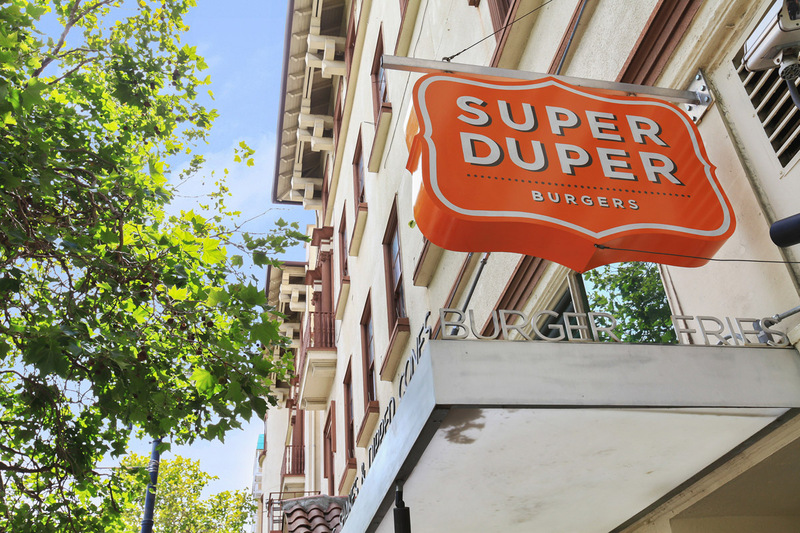 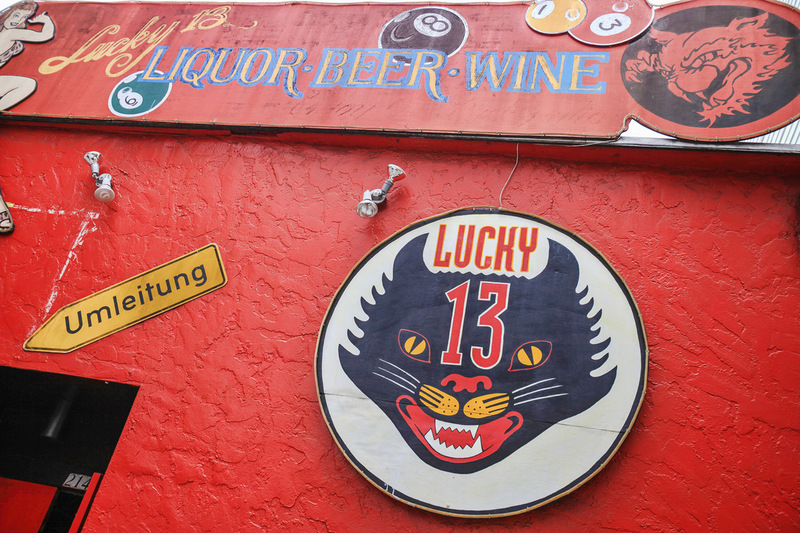 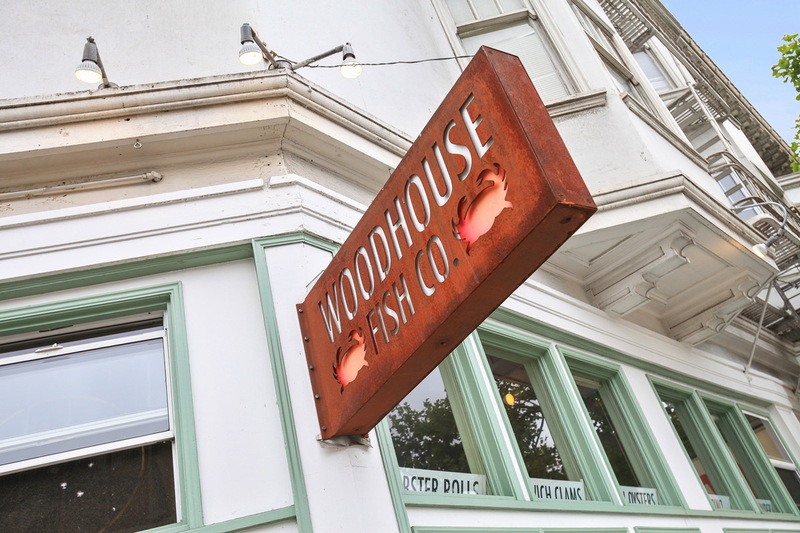 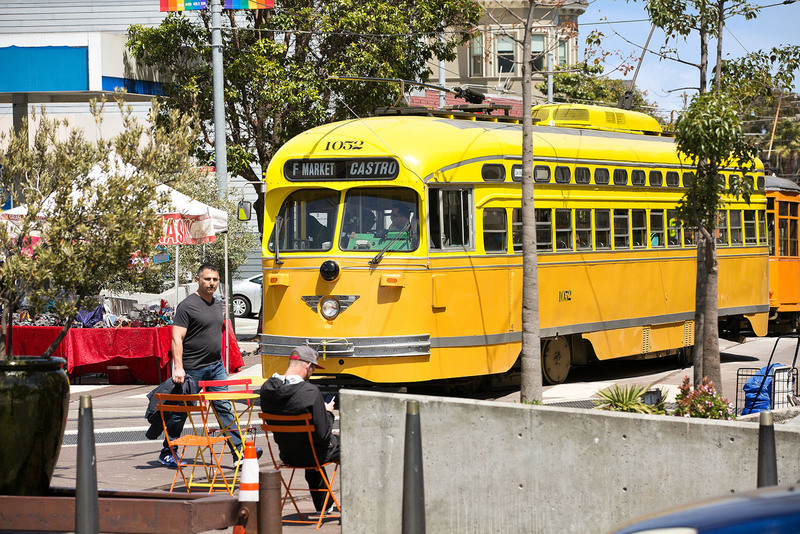 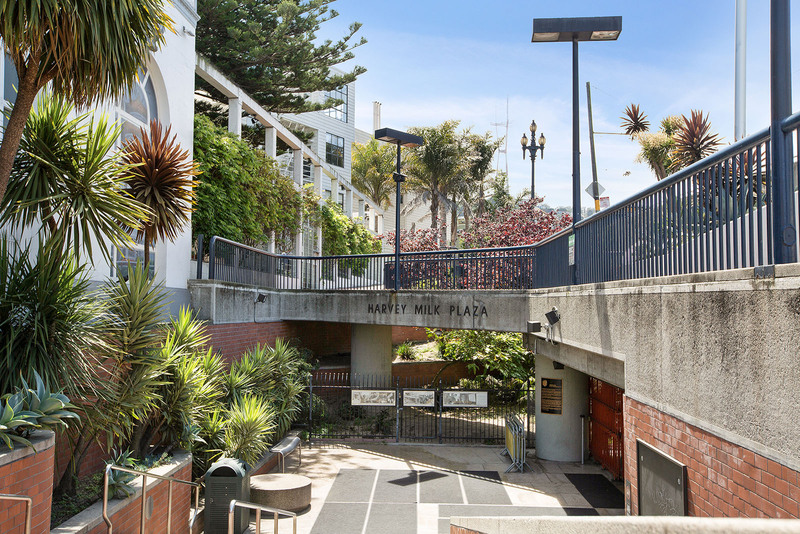 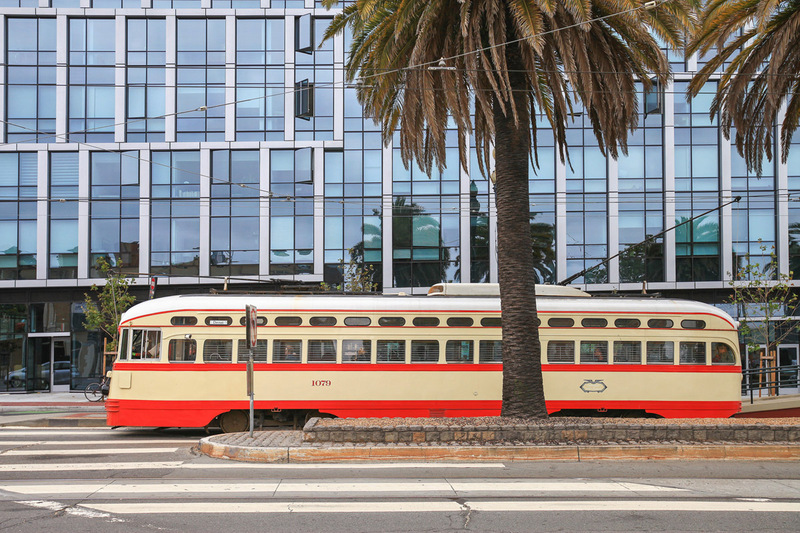 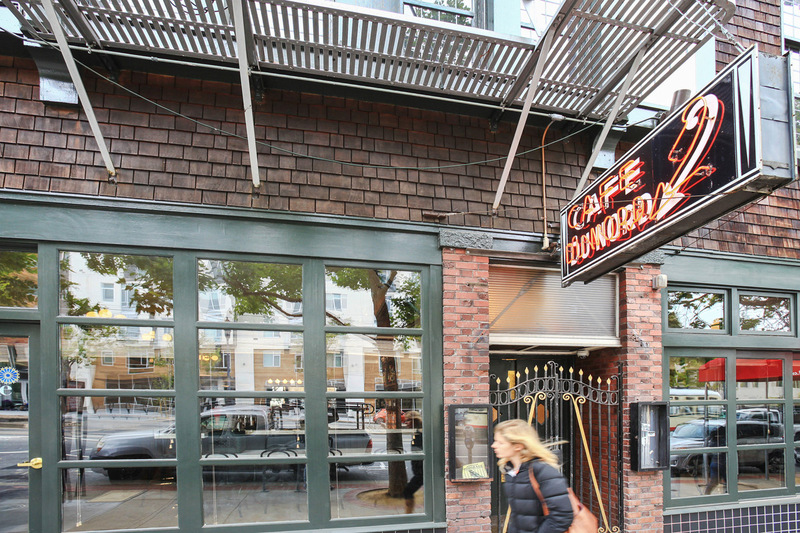 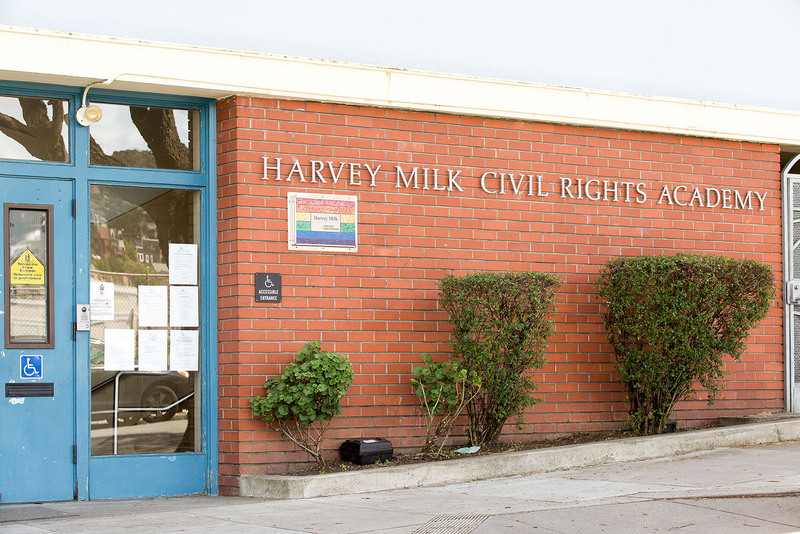 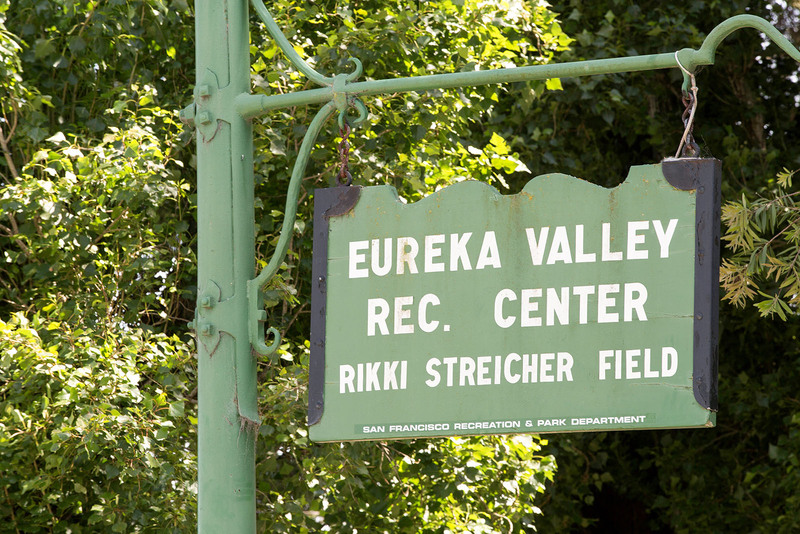 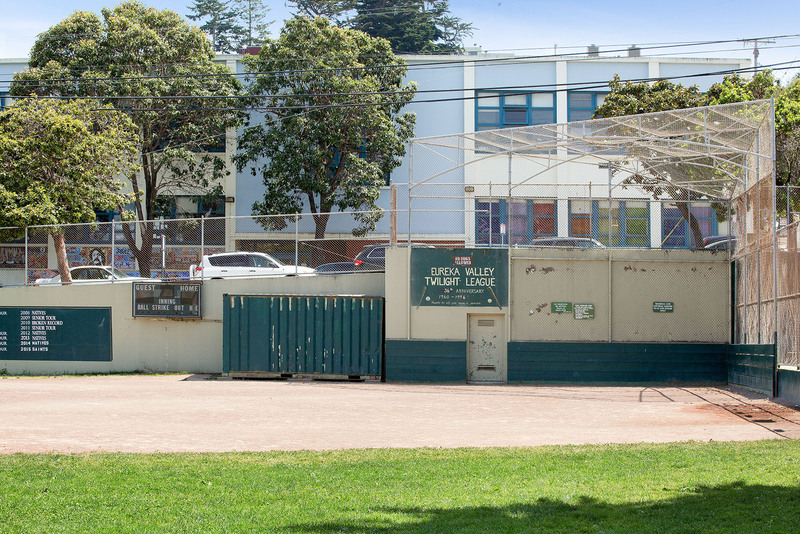 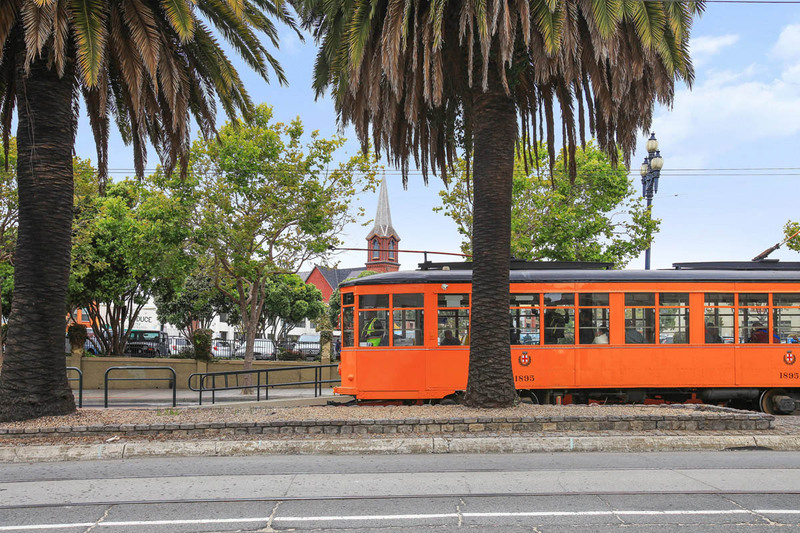 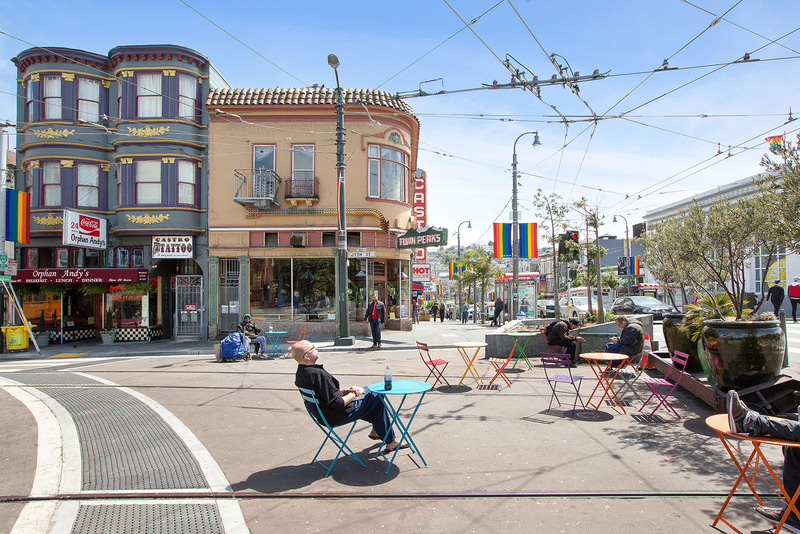 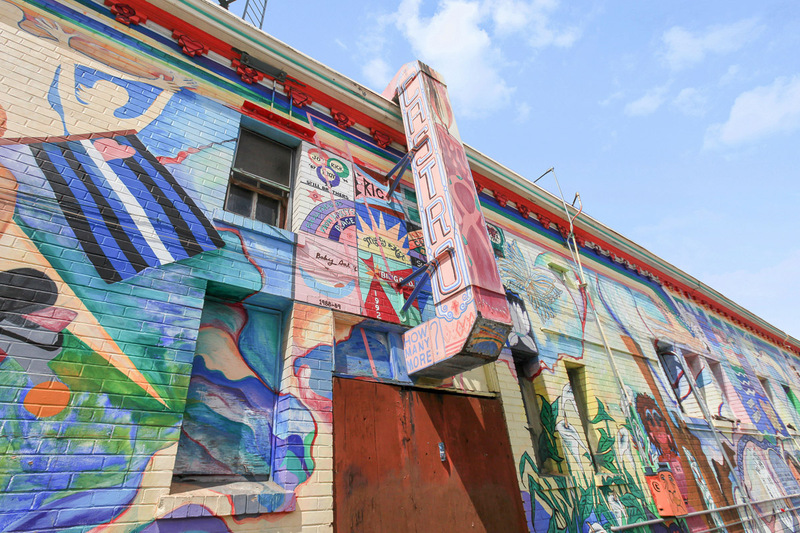 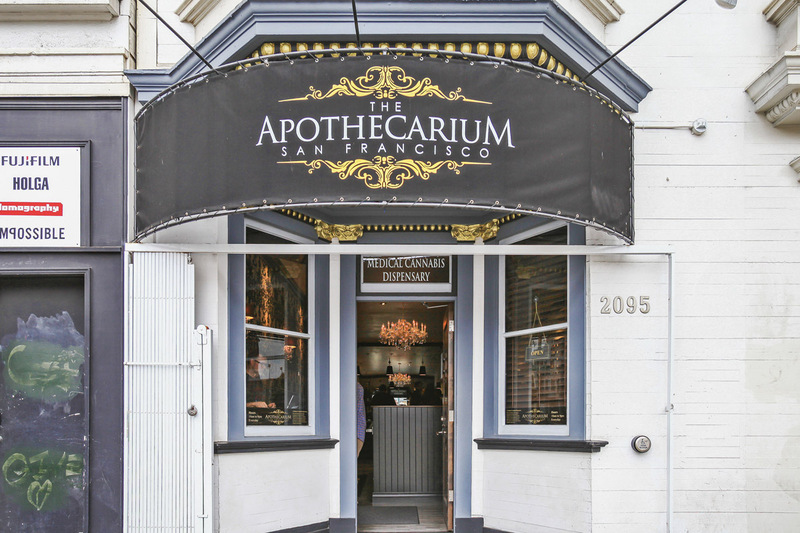 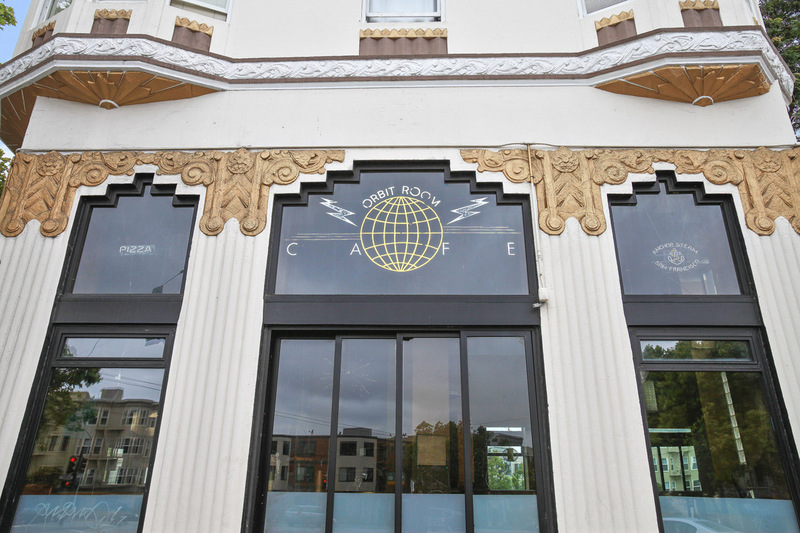 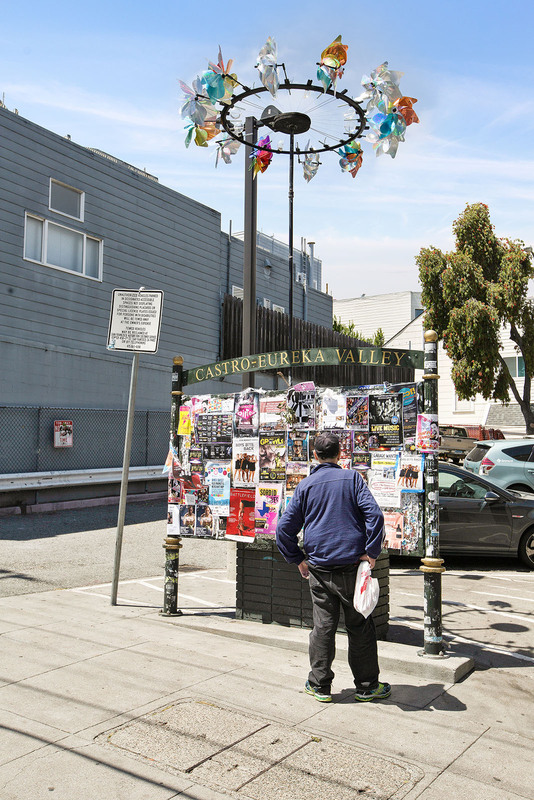 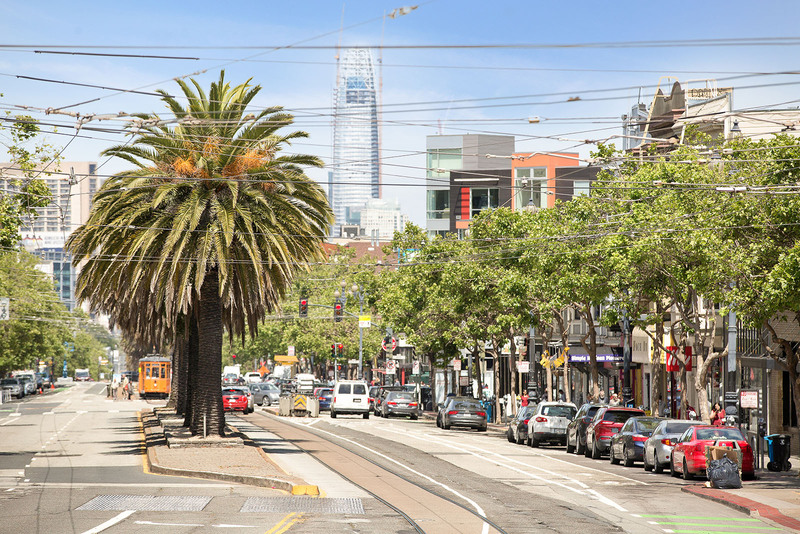 With its rich history dating back to the 1800’s, these neighborhoods welcome both young families and long-time residents to this increasingly popular and diverse area of San Francisco.